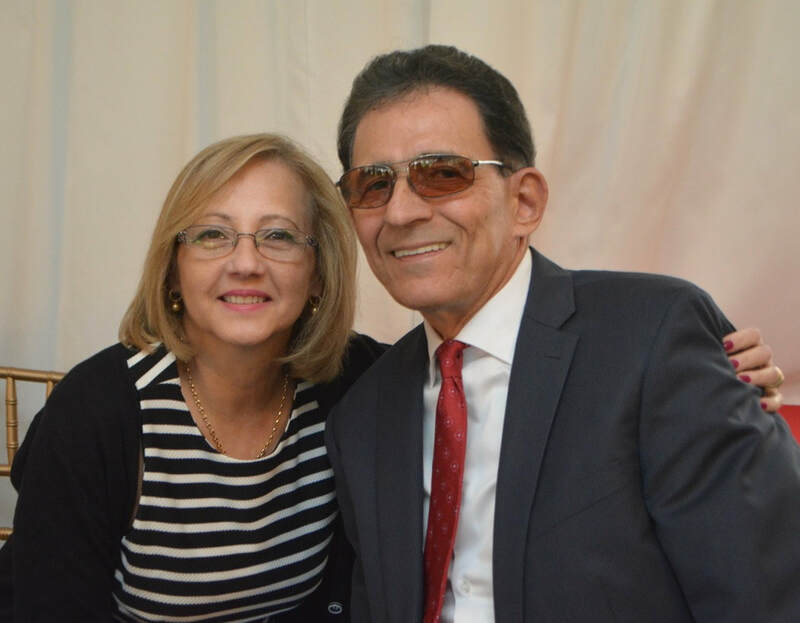 Although having shut down the newspaper after fourteen years, Joe and Luisa Parisi have decided to resurrect the Inquirer's website. They are both currently back to the drawing board and working on the website's new theme, which will not revolve around Mount Vernon news. New York’s Mt. Vernon City School District (MVCSD) began a new three year partnership with Discovery Education, the leading provider of digital content and professional development for K-12 classrooms. MVCSD’s new collaboration with Discovery Education strengthens the district’s efforts to bring high quality STEM/STEAM learning experiences to students both in the district’s new Mt. Vernon STEAM Academy and classrooms districtwide. Pelham Art Center has released the Fall 2018 Semester of classes and workshops! Online Registration opens August 1, 2018. Classes begin the week of September 17th and run for 8-9 weeks. Along with traditional painting, drawing and ceramic classes the Pelham Art Center offers many STEAM courses in the newly renovated Digital Media Lab. Classes for youth, teens, and adults in the Media Lab include: Scratch Coding on Monday afternoons with Patricia Pardini, Board Game Design with Luis Gondar and Digital Photography with Barry Mason on Tuesdays, Stop Motion Animation on Wednesdays with Frank Fanelli, Hand Animation – Creating Loops on Thursdays with the Nerdy Duo aka Erin Cardullo and Melissa Weiland, and 3D Printing & Modeling on Saturdays with Frank Fanelli. For questions and registration please call the Pelham Art Center 914-738-2525 or email info@pelhamartcenter.org We are open Monday – Friday 10am -5pm and Saturdays 10-4pm if you would like to come visit! Mayor Richard Thomas recently met with entrepreneur and hip-hop legend Sean "Diddy" Combs to continue collaboration talks with the entertainment mogul to grow Mount Vernon's sports and entertainment economy. Administrative Professionals Week is always the last full week of April, with Wednesday of that week being designated Administrative Professionals Day, or Secretaries Day. Administrative Professionals Day recognizes and celebrates the work of secretaries, administrative assistants, and other office professionals for their growing and diverse contributions to the workplace. In the United States, it is customary to take administrative professionals out to lunch on this day, and/or to give flowers or other gifts of appreciation. * Boil these ingredients for at least 2 hours until meat is tender. Once this is done add the rest of the ingredients below. Once the rest of the ingredients are added, bring to a boil and cook another 30 minutes or so until vegetables are done. If you can't find yautía or yuca don't worry, just use the potatoes. Serve with rice and tostones. How easy is that? Doesn't take much effort, just put on the stove and dice some veggies. In a stinging rebuke of actions taken by former Mayor Clinton Young, an arbitrator has ordered the City of Mount Vernon to pay Salvatore Gizzo $2.6 million in connection with the bankruptcy of his failed supermarket development in Fleetwood. In 2009, former Mayor Young and members of the City Council encouraged Gizzo to abandon his steakhouse at 42 West Broad Street and convert it to a supermarket. Promises were made, but not kept. On Friday, the arbitrator, former Supreme Court Justice Betty Weinberg Ellerin placed the damages for city’s “breach and non-performance of its contractual obligations” at $2.6 million. The city is reviewing its options as to whether the judgment is appealable. Payments in these types of cases are typically financed by issuing long-term bonds. Despite the size of the judgment, Mayor Thomas credited the city’s law team for avoiding a jury award that might have been higher. The arbitrator gave Gizzo about $1.2 million less than he had been seeking. Mayor Thomas said the one silver lining in the case is that the ill-fated supermarket is now the site of a $90 million, 16-story, transit-oriented development with 249 market-rate apartments, which are a short walk to the Fleetwood train station, and 20,000 sq. ft. of retail. Using CBD Oil for pain management: Does it work? Studies on CBD oil and pain management have shown a great deal of promise. CBD can offer an alternative for people who have chronic pain and rely on more dangerous, habit-forming medications like opioids. But there needs to be more research in order to verify the pain-relieving benefits of CBD oil. Searchers think that CBD interacts with receptors in your brain and immune system. Receptors are tiny proteins attached to your cells that receive chemical signals from different stimuli and help your cells respond. 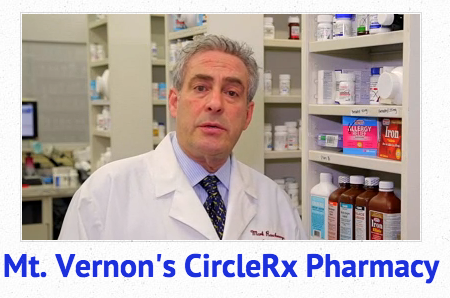 This creates anti-inflammatory and painkilling effects that help with pain management. This means that CBD oil may benefit people with chronic pain, such as chronic back pain. One 2017 review assessed how good CBD works to relieve chronic pain. The review looked at studies conducted between the late 1980s and 2007. Based on these reviews, researchers concluded CBD was effective in overall pain management without adverse side effects. They also noted that CBD was beneficial in treating insomnia related to chronic pain. The authors of the study also noted that CBD was most helpful in people with multiple sclerosis. I suffer from nerve pain in my legs and CBD oil relieves my pain like magic. August has arrived. What happened to July? Before we know it, September will be here and a new school year will begin. I hope that during the past few weeks you have encouraged your children to indulge in the adventure of reading. I hope that you have taken the time to read with them. 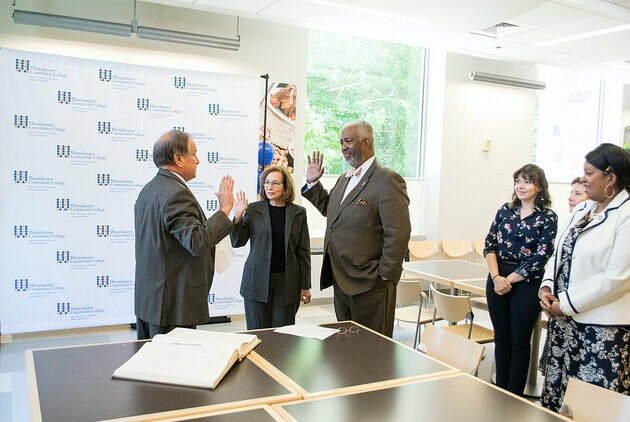 County Clerk Timothy C. Idoni administering the oath of office to Deborah S. Raizes and Dr. Gregory Robeson Smith while Elizabeth Lugones, Robin Bikkal, and Westchester Community College President Belinda S. Miles look on. Elizabeth Lugones has been selected as the student representative to the college’s Board of Trustees. Her goal is to graduate from the college with a degree in Engineering Science and then move on to a master’s program before entering the industry. Deborah S. Raizes is a senior consultant for Hazard, Young, Attea & Associates, Ltd., which specializes in searches for administrators, including superintendents, at public schools. Prior to this position, she was a teacher for the Durham County Schools in Durham, North Carolina. Summer Movie Night has been rescheduled due to inclement weather. The public can attend next week, Friday, August 3rd, in Parking Lot 11 across from Food Town for a showing of the Blockbuster Hit, Jumanji! Showing starts at 8:30pm.
. 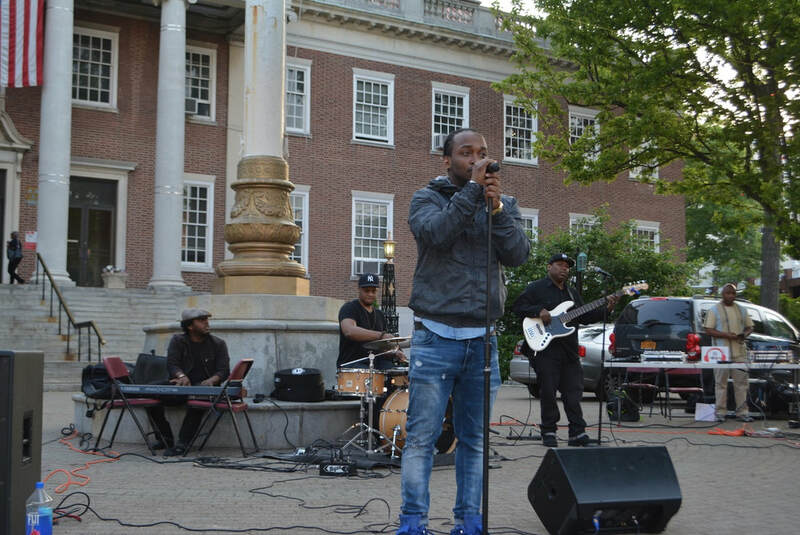 The New York State Council on the Arts (NYSCA) once again has awarded ArtsWestchester a Decentralization grant to support community based arts throughout Westchester and Rockland Counties. ArtsWestchester distributes these funds through their Arts Alive Grants program to support cultural programs, individual artists, and arts-in education programs, with emphasis on emerging cultural organizations and making the arts accessible in areas where there are few cultural resources. There will be a series of pre-application workshops conducted throughout Westchester and Rockland Counties to help potential applicants understand and prepare competitive proposal. More information is available on their website artsw.org/artsalive. Are you entitled to unclaimed funds? 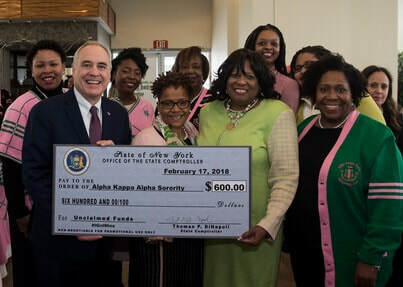 Comptroller DiNapoli presents members of the Alpha Kappa Alpha Sorority with unclaimed funds check for $600 at the 2018 Black and Puerto Rican Legislative Conference. You may be entitled to some of the over $10.5 billion in unclaimed funds in New York State. A simple Internet search is all it takes to see if you are eligible. To see if you have any unclaimed funds, go to http://www.osc.state.ny.us/ouf/index.htm.Why does New York State have unclaimed funds? Banks, insurance companies, utilities, investment companies and many other businesses are required by State law to turn over inactive accounts to the State. The Office of the State Comptroller then serves as the custodian of this money until it is claimed. What are some types of unclaimed funds? Unclaimed funds are money or the rights to money that have been dormant or forgotten. Some common examples include: savings accounts, checking accounts, uncashed checks, telephone/utility deposits, rental security deposits, wages, insurance benefits/policies, safe deposit box contents, mortgage insurance refunds, stocks and dividends, mutual funds, certificates of deposit, trust funds, and estate proceed. How can I search to see if I am entitled to unclaimed funds? To see if there are unclaimed funds in your name, visit the New York State Comptroller’s website and conduct a search by going to http://www.osc.state.ny.us/ouf/index.htm. There is no charge to search or file a claim to recover unclaimed funds. Where can I get more information about filing a claim for unclaimed funds? Go to http://www.osc.state.ny.us/ouf/reqdoc.htm for more information from the New York State Comptroller’s website. If you have any questions or need assistance, you may contact the Office of the State Comptroller at 1-800-221-9311 or via email by NYSOUF@osc.state.ny.us. The longhorned tick has arrived in Westchester County. The New York State Departments of Health and Agriculture & Markets confirmed the presence of this tick, whose scientific name isHaemaphysalis longicornis tick, in the County. The tick is native to Australia, New Zealand and eastern Asian, but has been found recently in New Jersey, Virginia, West Virginia, North Carolina, Arkansas and now New York. While the longhorned tick has transmitted disease to humans in other parts of the world, more research is needed to determine whether this can happen in the United States. Health Commissioner Sherlita Amler, MD, is once again advising Westchester residents to protect themselves, their farm animals and pets against ticks. State Health Department research scientists collaborated with researchers at Fordham University and at the Lyme Disease Diagnostic Center of New York Medical College to identify these ticks. The identifications were confirmed by the Rutgers University Center for Vector Biology and the United States Department of Agriculture (USDA). This tick is a concern for the agricultural industry because it may pose a threat to livestock. The State and County Health Departments advise farmers to work with their veterinarians to check their animals, particularly cattle, sheep and horses, for exposure to ticks and to ensure their parasite control plans are up to date and working. Symptoms of tick-borne disease in cattle include fever, lack of appetite, dehydration, weakness and labored breathing. If longhorned ticks are suspected, farmers should consult with their veterinarians and can contact the New York State Department of Agriculture and Markets Division of Animal Industry at 518-457-3502 or dai@agriculture.ny.gov for more information. If you have been bitten by a tick of any kind, contact your health care provider immediately if you develop a rash or flu-like symptoms. Cognitive Behavioral Consultants (CBC) will conduct a Summer Intensive program on skills to overcome Obsessive Compulsive Disorder or OCD in August. The program will be led by Dr. Constance Dekis and Dr. Lata K. McGinn for youth ages 12 to 17. The program offers four full days of research-supported skills to help youth enhance their motivation to overcome OCD and set goals, modify the unhelpful thinking patterns that torment them, and confront and overcome the unhelpful, repetitive behaviors that create misery for sufferers. There is also a parent orientation during which parents will learn about OCD and the program, and will learn skills to help their child or adolescent maximize their gains in the program. Obsessive Compulsive Disorder (OCD) is a mental health disorder that affects people of all ages and walks of life and occurs when a person gets caught in a cycle of obsessions and compulsions. Obsessions are unwanted, intrusive thoughts, images or urges that trigger intensely distressing feelings. Compulsions are unhelpful repetitive behaviors and mental acts used by individuals in an effort to overcome the distress they experience from their obsessions. Brian Murphy has been named the college’s Vice President and Dean of Administrative Services. An executive with a considerable background in higher education finance, he has earned a number of degrees relating to the field. He attained his Master of Science in Education in Higher Education Administration from Baruch College, Master of Business Administration in Finance and Management from the University of Cincinnati, and Bachelor of Science in Finance and Economics from the University of Dayton. He also studied at the Institute of Educational Management at Harvard University’s Graduate School of Education. Most recently, he served as Finance Director at the New York Structural Biology Center at City College/CUNY. 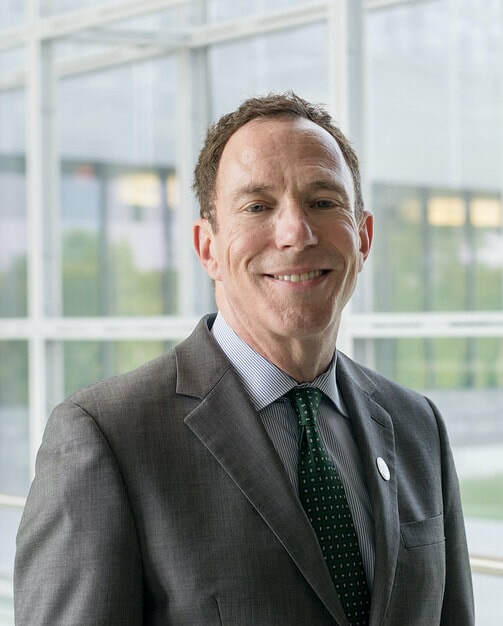 Previously, he held various other roles with CUNY including Executive Director of the Finance and Business Operations at Hunter College, Assistant Vice President for Finance at Queens College, and Assistant Vice President for Budget and Planning at Queens College. In addition, he was the Executive Director of Accounting and Finance, Student and Administrative Services, for Columbia University and Business Manager and Senior Business Manager with the Time Warner Book Group/Hachette Book Group USA in Manhattan. 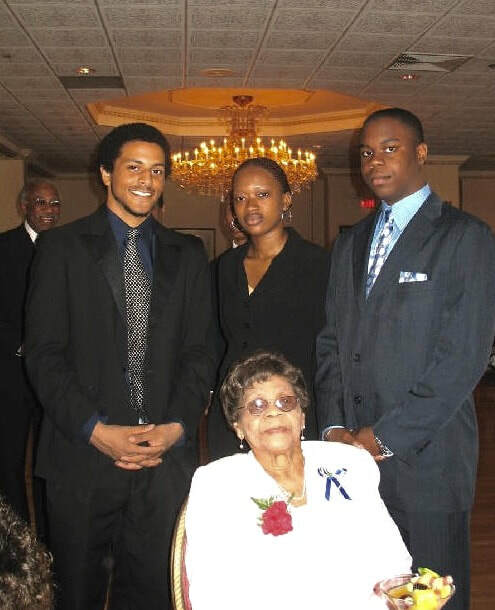 The Westchester County Board of Legislators has approved funding for the design and construction of a permanent memorial to Christopher Ridley, the off-duty Mount Vernon police officer who was shot and killed in January 2008 by county police as Ridley was intervening to stop an altercation in front of the county’s Department of Social Services at 85 Court Street in White Plains. 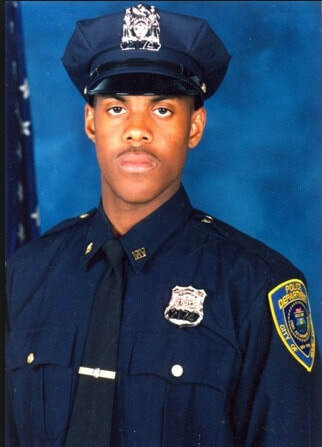 Officer Ridley, who was posthumously promoted to detective, was shot when four county police officers responded to the incident in which Ridley, off-duty and in plain clothes, struggled to recover his gun from the person committing the assault. A temporary plaque memorializing Ridley has been installed in front of the building at a plaza named in his honor since 2008. At the time the intention was to erect a permanent memorial. 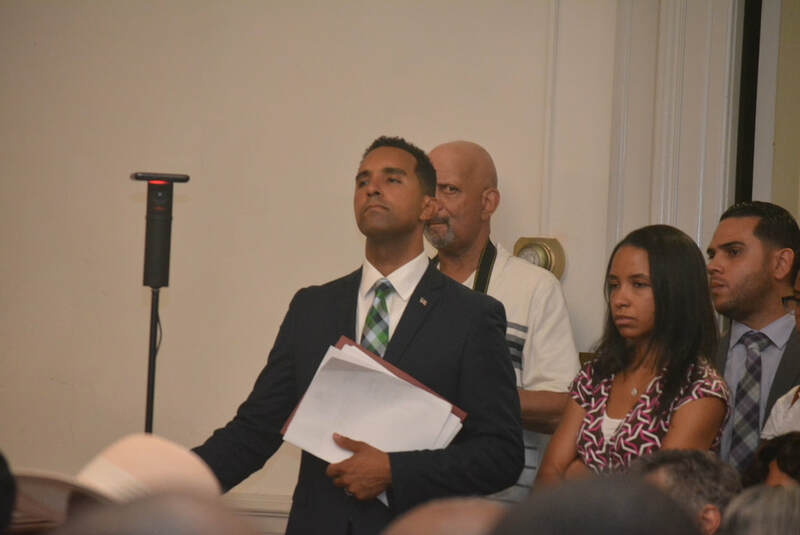 That promise will finally be fulfilled, said Legislator Lyndon Williams (D- Mount Vernon). The measure - approved unanimously by the board, sets aside $150,000 for the design and construction of a fitting memorial. The county will work with Ridley’s family to decide what form the memorial will take. Most important to Detective Ridley’s father, Stanley Ridley, is that the memorial should be one that reminds people of the circumstances of his son’s death. “Number one, people don’t know; and number two, people forget. I can’t. Will never,” said Stanley Ridley. “This tragic incident happened and it just went from doing a good deed to people not realizing that [Christopher] was trying to help people,” Ridley said. Mr. Ridley said he hopes a memorial will serve as part of a dialogue. “There needs to be a message kept for us to dwell on, but you can’t dwell on it if you don’t know the story,” he said. Ridley said that he hopes some of the money will be used not only for a memorial but also to “refresh” the plaza that bears his son’s name in front of 85 Court Street. Due to higher rents and a severe housing shortage, many Westchester seniors are faced with a critical, daunting task: how to secure affordable housing within the county, close to family and friends. Low inventory of available, subsidized units, lengthy waiting lists, higher taxes and dwindling funds for new construction, all contribute to the current crisis. 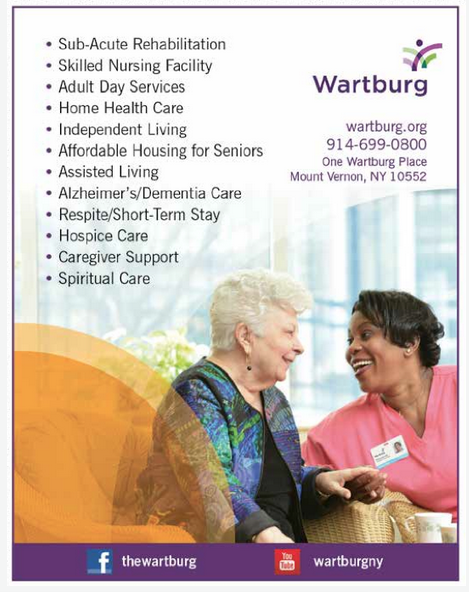 To help, our office, the Westchester County Department of Senior Programs and Services, is sponsoring a senior housing forum to identify options and workable solutions to alleviate some obstacles to affordability. The meeting, The Right Connection: Matched Housing will be held on Wednesday, July 25, at Westchester Community College, Davis Auditorium, 75 Grasslands Road, Valhalla, 9:30 am - 11:30 am. Community leaders, like you, can help identify critical needs within your organization and play a pivotal role in facilitating stable housing in your community. Our office will provide training for successful outcomes, and provide additional supports for your members. Many seniors pay up to 50% of fixed income on rent and other housing, leaving them limited resources to address other needs. In addition, a lack of affordable housing could result in stress on the elderly, putting them at greater risk for isolation, emotional and physical decline, which could lead to depression, loneliness, and increased vulnerability to safety risks such as fraud and abuse. Our Department priority is to help these seniors secure and maintain stable, affordable housing. Please join us and learn more about housing opportunities to help in this effort. A light breakfast will be available during the meeting. Thank you for your concern about the quality of life for our elderly and we look forward to seeing you at the housing forum. Jessye Salmon, daughter of Philip and Lisa Salmon of Mount Vernon, NY, a rising freshman at the Hackley School in Tarrytown, NY has been named as a 2018 Maverik National Lacrosse All-Star and has been selected to attend the Maverik National Lacrosse Academy to be held July 16-19, 2018 in Frederica, Delaware at the DE Turf Sportsplex. 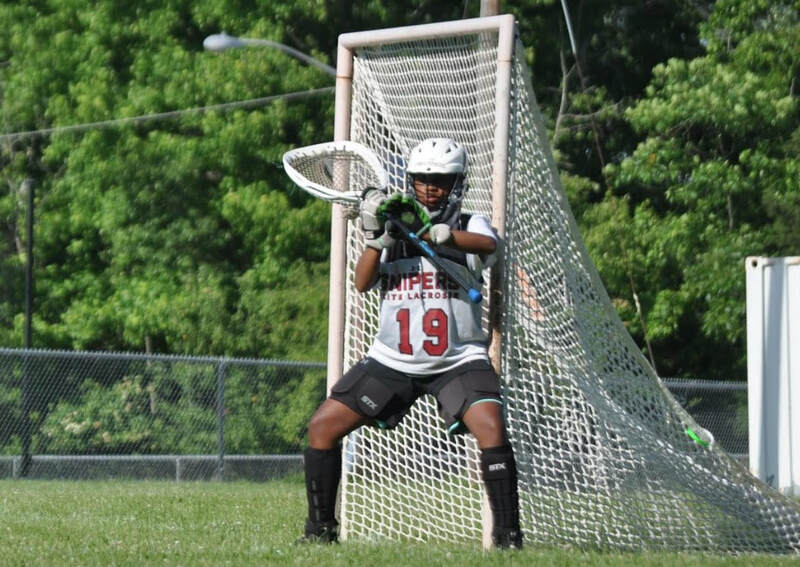 Jessye is a goalie and has played for the Hackley Hornets middle school team and for the Snipes Elite club team in Westchester County, NY. The Maverik National Lacrosse Academy brings the top youth lacrosse players in the United States and Canada to one venue, where regional teams, coached by NCAA lacrosse coaches, compete to become the 2018 National Champion. The Maverik National Lacrosse Academy is the first-of-its-kind lacrosse experience created to provide a curriculum focused on how a young lacrosse athlete should develop in order to compete at a top high school and collegiate lacrosse program. Coming soon to a street near you - the "Pothole Posse" is back and stronger than ever! Mount Vernon’s newest addition is a specialized truck that can attack potholes all year round. In the past, pothole repair operations required warmer temperatures due to the cold patch asphalt mix used. This newly acquired vehicle has specialized capabilities including a 6-ton capacity hot asphalt mix that can repair larger sections of potholes in warm and cold weather. The city is seeking to purchase additional trucks in the near future. 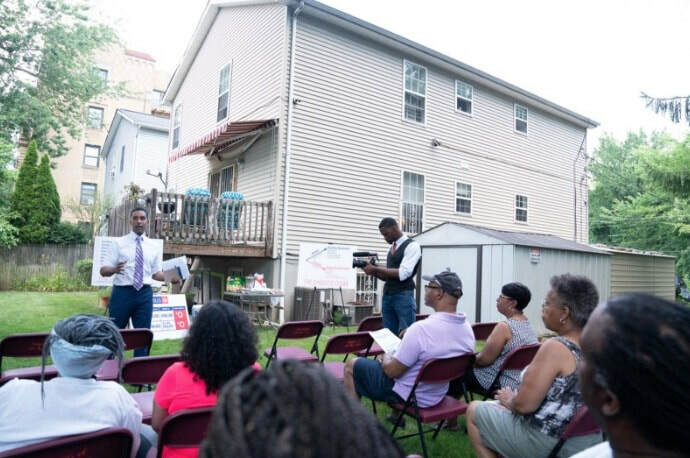 Mayor Thomas met with Mount Vernon homeowners at the home of Mount Vernon residents. The topic of conversation was the looming sewer crisis and what Mount Vernon must do to stave off crippling fines and penalties for decades of inaction regarding violations of the federal Clean Water Act. Mayor Thomas laid out the next steps, and most importantly what the residents can do to compel the City Council and City Comptroller to fund the positions and pay the bills necessary to get the work done and show the DOJ and EPA that the city is serious about correcting these violations and complying fully with the federal consent decrees. Mayor Thomas also spoke about all the positive things in Mount Vernon like rising home values, an over 30% drop in crime rates, new businesses investing in Mount Vernon, new smart LED streetlights being installed for virtually no cost to the city, and much more. If you would like to host a community meeting or would like to get involved in the fight to fix the sewers, call 914–665–2362 or email Mayor Thomas at MayorThomas@cmvny.com. It was not business as usual at the last tension filled and raucous scheduled City Council meeting held Wednesday night, July 11. The chambers was hot and uncomfortable and an angry endless line of speakers pretty much beset members of the City Council and the mayor for not doing their job concerning the lawsuit filed against the city over faulty sewers. “I think a lot of people would step up to the plate but they are frustrated by the infighting. I do not want to be a part of that. I want to be a part of progress,” said one concerned woman. The Miss Caribbean Pageant USA team brings excitement to the inaugural pageant at its launch August 12th, 2018 from 6pm to 11pm. It is being held at the Radisson Hotel in New Rochelle. Dignitaries from over 33 countries in the Caribbean, media and potential Sponsors have been invited to this exclusive VIP dinner to enjoy live entertainment featuring a special performance by Meesha Steele with music by DJ Norie of Power 105.1 FM, winner of the 2017 Global spin awards and Reggae DJ of the year. The launch will be opened to the public and tickets are on sale via Eventbrite. The pageant was designed to endorse and empower young women of the Caribbean to highlight its great culture and provide a platform that will encourage higher education, promote the arts and sciences, and immerse the contestants into the world of technology in a competitive way. Unlike many other national and international pageants, the age restriction for contestants is 17-28 years old whereas the Miss Caribbean Pageant USA contestants are opened to women ranging in ages 18 to 40 years old. The champion will receive $50,000. 1st Runner-up will receive $25,000, 2nd Runner-up will receive $20,000 and 3rd Runner-up will receive $15,000 in cash & prizes. The specific prizes will be announced at the launch along with all of the contest rules for each contestant entering the pageant. 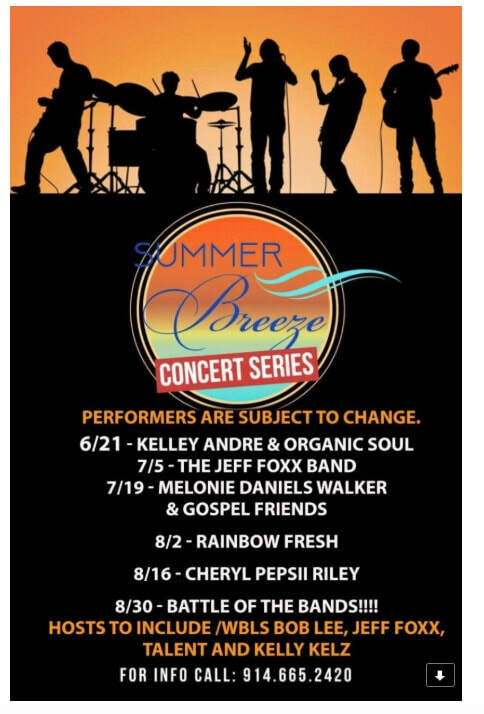 Additional special guests will be added to the live entertainment line-up still to be announced. For more information and FAQs visit www.misscpusa.com. Drinking too much soda can kill you! On Tuesday, July 10, lawyers representing all concerned parties went before state Supreme Court Judge Gerald Loehr to discuss the Memorial Field debacle. Not much was accomplished during the 90-minute meeting and a new meeting has been scheduled for Tuesday, July 17. Nevertheless, the restraining order remains in place, prohibiting the mayor from doing work at Memorial Field. 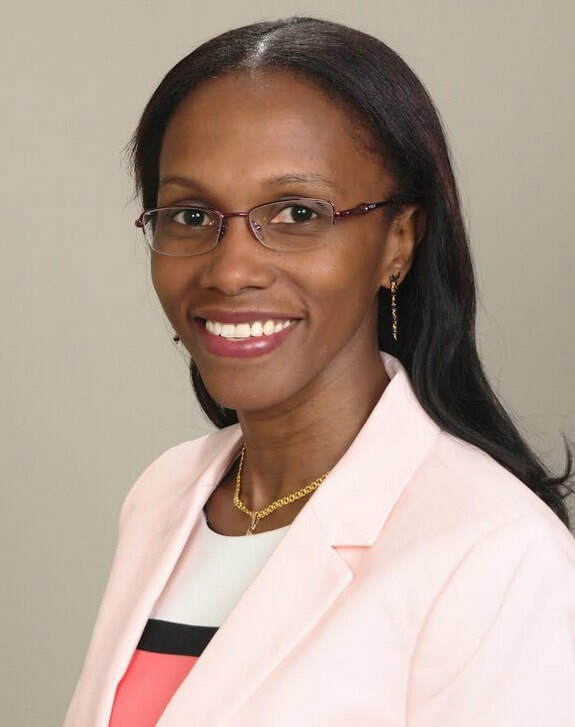 In the interim, Kela Simunoya, owner of the Tennis Center, continues to seek access to the tennis center property in order to have insurance adjusters assess the damage that was done. Legislators are pledging to work with the County Executive to right Westchester’s fiscal ship after auditors from PFK O'Connor Davies on Monday briefed the Board of Legislators' Budget and Appropriations Committee on Westchester County's Comprehensive Annual Financial Report for 2017. The report, which was released by County Executive George Latimer on June 26, shows that the County ended 2017 with a $32.2 million deficit, and faces a projected deficit for 2018 of $28.7 million even before any money is budgeted for a settlement with the county's largest union, CSEA, who have been working without a contract for seven years. 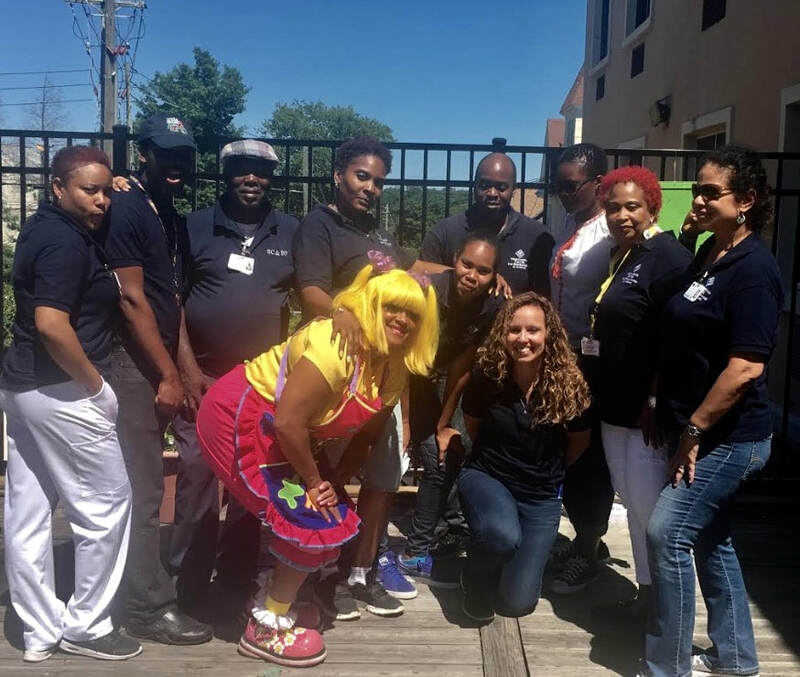 Residents and staff at the Westchester Center for Rehabilitation and Nursing in Mount Vernon held their annual “Family Fun Day” on Saturday, July 7, and it was a total success. Located at 10 Claremont Avenue, the popular facility, as in previous years, held a ‘finger licking’ barbecue that was enjoyed by over 200 people in attendance. Those in attendance, which included many children, enjoyed an assortment of wonderful food, a free Zumba Class, face painting, cotton candy, many giveaways, raffles and the wonderful sounds of a DJ. Intense heat and humidity couldn’t prevent freedom from ringing on Wednesday, July 4, as the annual reading of the Declaration of Independence kicked off the 136th Fourth of July Independence Day Celebration for the nearly 200 hundred in attendance at St. Paul’s Church in Mount Vernon. The Mistress of Ceremonies for the historic ceremony was Kristyn Briez Reed, Director of the Mount Vernon Veteran Service Agency (VSA). 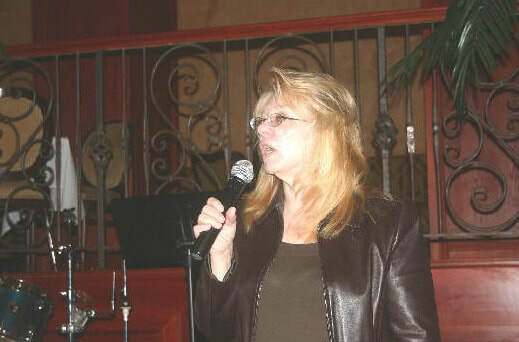 She was filling in for longtime Mistress of Ceremonies, Rosemarie Cornacchio, who was unable to attend due to a personal family matter. Richard St. Paul, an attorney the City Council has retained to represent them, speaking during press conference. Members of the Mount Vernon City Council held a press conference at Mount Vernon City Hall (rotunda) on Tuesday, July 3, to apprise the public about a complaint filed against Mount Vernon by the United States Department of Justice, Southern District of New York, and the New York Attorney General. Both agencies allege that the city has not prevented illegal and illicit discharge from flowing into the city’s waterways. Acting as the spokesperson for the City Council was Councilman Andre Wallace, who filled in for Council President Lisa Copeland who was out of town. 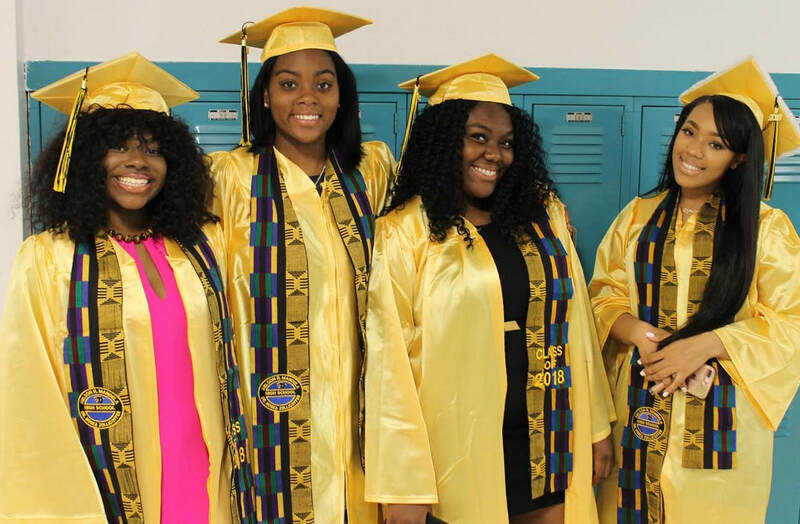 38 graduating seniors accepted their diplomas from Mount Vernon City School District Superintendent Dr. Kenneth R. Hamilton at this year’s Nelson Mandela/ Zollicoffer High School commencement ceremony, which was held at AB Davis Middle School. 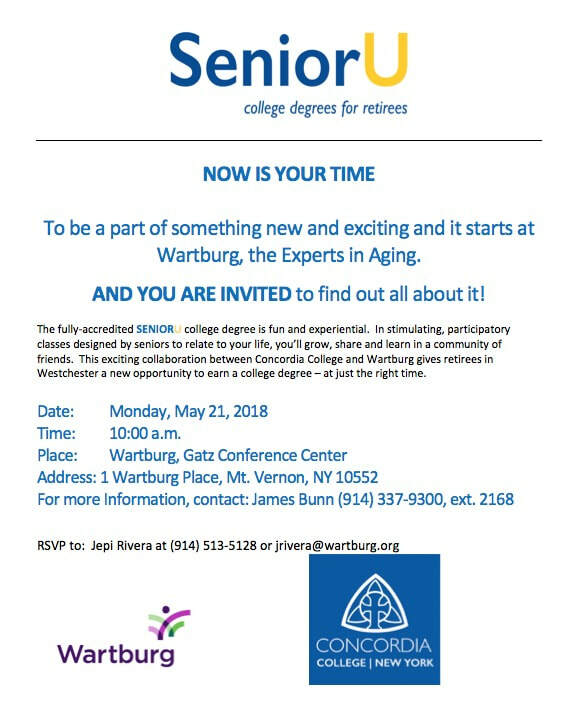 23 of the graduates will be attending college in the fall, with students accepted to Berkeley College, Purchase College, Dutchess Community College, LaGuardia Community College, SUNY Broome, SUNY Sullivan and Westchester Community College. The graduating class included recipients of more than $15,000 in scholarships awarded by colleges, as well as organizations including the Mount Vernon Federation of Teachers, the PTSA and the Church of Ascension. Valedictorian Queen Boswell and Salutatorian Shaquan Lowe addressed their classmates and gathered attendees, reflecting on the time they’ve spent at Mandela and the bonds they’ve created with fellow students. They also urged their peers to be the authors of their own futures, with Boswell offering three specific tips. 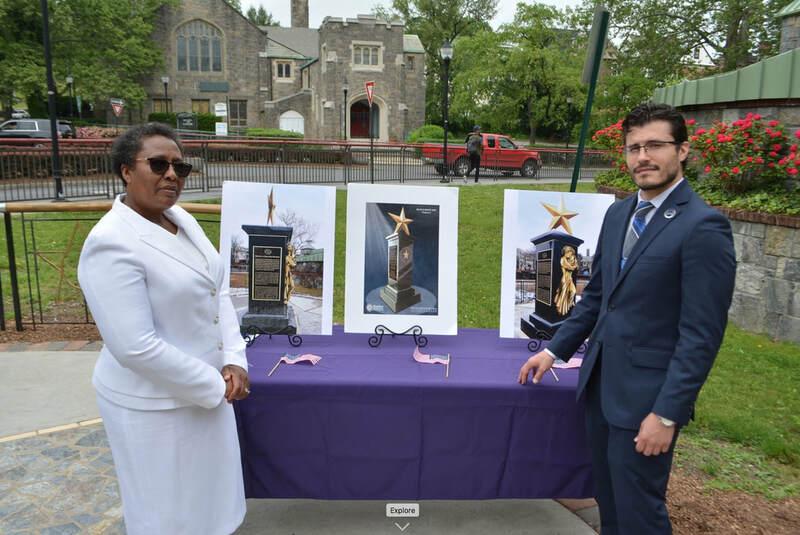 This year’s Mount Vernon City School District Superintendent’s Academic Achievement Awards went to Boswell and Lowe, who also each received a Mayoral Award. Nala Parks was honored by Dr. Hamilton with the Most Improved Student Award, and also performed a vocal solo as part of the commencement ceremony. City Council: "The United States Department of Justice sues Mt. Vernon"
The United States Department of Justice, Southern District of New York, today filed a lawsuit against the city of Mount Vernon for violating the Clean Water Act. The lawsuit alleges that the city has not prevented illegal and illicit discharge from flowing into the city’s waterways. This is a problem Mount Vernon has faced since 2012. For that reason, the City Council has been actively engaged in addressing the issue and has taken measures to fund two (2) major pieces of equipment. The City Council has also provided funding to hire eight (8) additional employees in the Department of Public Works, specifically to build and to train a sewer team. The City Council has done all it can; however, the day-to-day operations of the city are the responsibility of the mayor and his administration. For two (2) years the mayor has failed to communicate with the Environmental Protection Agency (EPA) on the progress that has been made to repair the city’s sewer infrastructure. He has also failed to present a plan/schedule to the EPA to come into compliance. The Council has consistently attempted to communicate with the mayor’s office on this matter but to no avail. While Mayor Thomas has been encouraging the DOJ to impose fines on the city and has requested for the DOJ to command the City Council and the comptroller to allocate tens of millions of dollars to repair the sewers, the City Council believes in resolving the matter in a method that is fiscally responsible and protects the taxpayers. The City Council believes in a common-sense approach that will fund the work over time through bonds and the allocation of state and federal aid. Yet, aid cannot be applied for until there is a plan in place. The mayor has been negligent in his responsibility as the chief executive officer of the city. He has failed to concentrate on the urgent issues facing Mount Vernon. His “fun mayor” tactics have jeopardized the safety, and possibly, the finances of the city. The Mount Vernon City School District has a few openings available for FREE full day Pre-Kindergarten classes, which begin September 12. Open seats are at Graham Elementary, Williams Elementary, Parker Elementary, Traphagen Elementary and Mount Vernon High School. Graham will have bus transportation available. Seats will be filled on a first come, first-served basis. Registration will begin on Monday, July 9, at Rebecca Turner Elementary School, 625 South 4th Avenue. 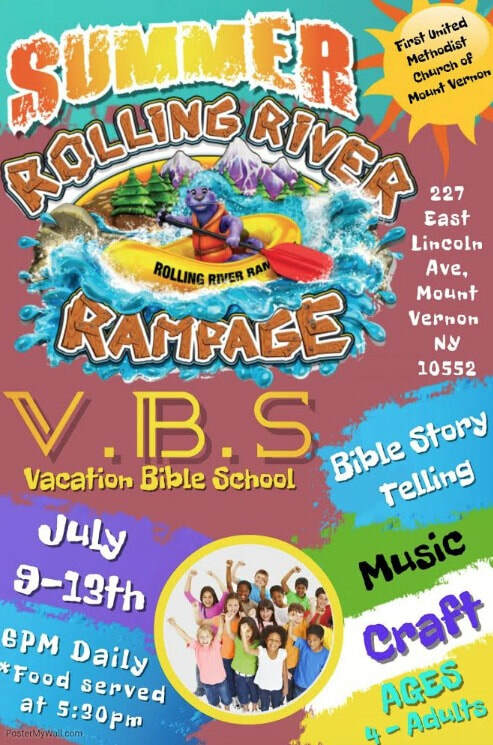 Registrations will be taken from 8 to 11:30 a.m., Mondays through Fridays, and 5 to 9 p.m. on select dates – July 9, 11, 12, 23-26; August 20-23, 27-30. Children must be 4 years old by December 1, 2018. To register, bring the child’s birth certificate, immunizations, a current lease or deed, a utility bill and picture identification. The Mount Vernon Pre-Kindergarten Program offers a well-implemented, evidence-based curriculum (DIG: Develop. Inspire. Grow!) taught by highly qualified Pre-K teachers and teaching assistants who are specially trained to utilize developmentally appropriate activities, implement standards-based instruction, and build a nurturing classroom environment for all little learners. Children bring a variety of strengths and weaknesses to the classroom. Some may need additional support. Mount Vernon Pre-K provides regular assessments of a child’s learning that are built into the curriculum, so teachers will ensure a child is on track for success in kindergarten. Children will engage in growth and educational experiences, such as field trips, activities about families, digital communications, computer coding and iPad usage. The robust curriculum includes reading, writing, math, science, and social studies learning necessary for success. Students will learn in whole groups and small groups and develop social and emotional skills. For further information — Call the Pre-K Office at (914) 665-5077. 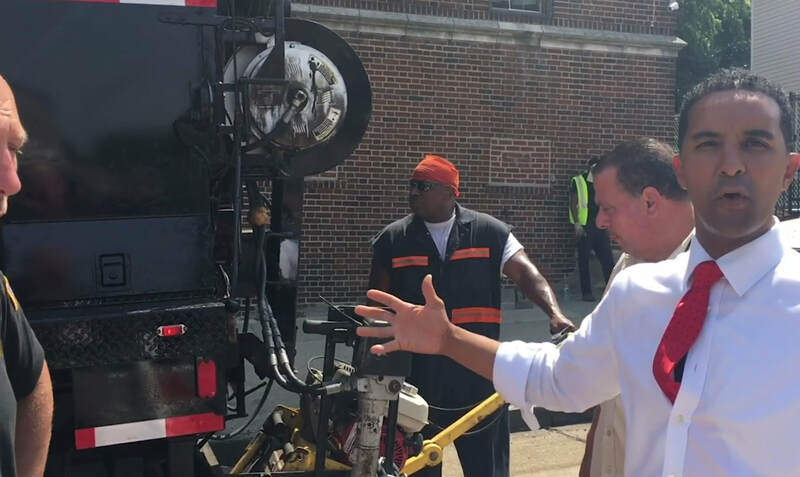 To stave off crippling fines and tax hikes, Mayor Richard Thomas has asked the comptroller and City Council to approve the funding – a net cost of $122,000 for taxpayers – for the jobs and equipment needed to bring Mount Vernon’s sewers into compliance with federal regulations. At a meeting in Manhattan recently, the Department of Justice informed Mayor Thomas, who was joined by Council Members Marcus Griffith and Janice Duarte, that millions of dollars in fines – up to $37,500 a day per violation – were imminent because of the city’s decade-long failure to correct violations of the Clean Water Act. Every $500,000 in fines equals a 1 percent increase in property taxes. According to Mayor Thomas, progress on correcting violations has been impeded by a lack of funding by the City Council and comptroller. 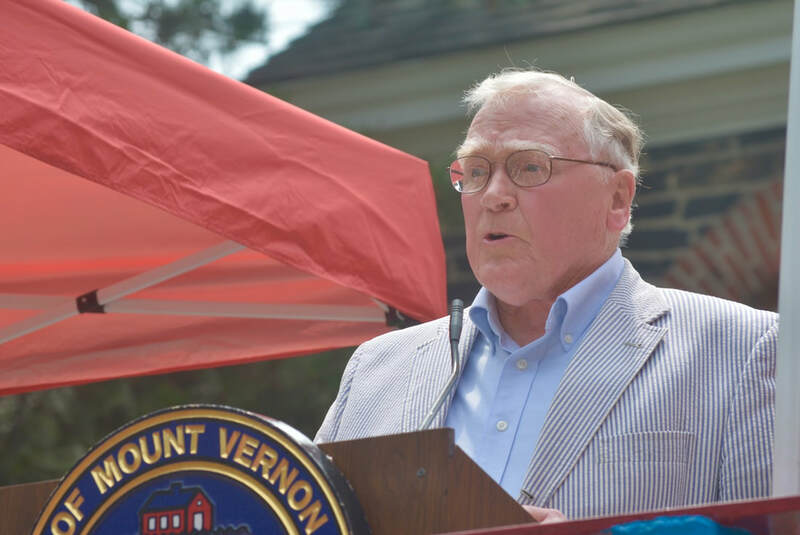 "Mount Vernon has no money in its current budget to pay for its Planning Commissioner or City Engineer, two posts critical to bringing the city’s sewers and storm drains into compliance," said Thomas. Mayor Thomas said compliance can be achieved within 18 to 24 months if the City Council and comptroller pay for the necessary resources, which includes equipment purchases and funding the Planning Commissioner, City Engineer, a four-person crew for the Department of Public Works, and two grant writers in the Planning Department. The total cost is $1.8 million, but the net cost to taxpayers would only be $122,000, after $1.6 million is offset by a grant from the New York State Department of Environmental Conservation and $114,000 in current vacancy savings. This contrasts with fines of $37,500 a day that would hit $1.2 million in a month. Mayor Thomas said he was asking the City Council and comptroller to work with him so that the city could quickly show the DOJ that it was making measurable progress toward compliance. He urged residents to attend City Council meetings to voice support for taking immediate action to achieve an affordable solution. For this team, winning was never the priority. Instead, the Pioneer League’s Mount Vernon Knights provided its members with an opportunity to represent their district in a positive way. But on June 19, at the Mount Vernon City School District’s Board of Education meeting, the team was recognized with medals just the same. The Pioneer League is a Hudson Valley division of the New York State Special Olympics. Mount Vernon had a team decades ago, revived the program, and has been under the guidance of head Coach Rocco Alianiello for the past two years. “Coach Rocky”, as the kids know him, was presented with a plaque for his service as were his assistants. “There’s nothing more special than getting the opportunity to work with the most special students in the whole district,” he said while accepting his award from Saunders. The Knights participated in a total of twenty-five competitions this school year in four sports; indoor soccer, poly-hockey, basketball and volleyball. They faced teams from New Rochelle, Mamaroneck, White Plains, Somers, Carmel, Ossining, Lakeland and Woodlands. But it was always a mutually supportive environment. The Mount Vernon City School District is opening the Mount Vernon High School pool this summer to host family laps and swimming starting Monday, July 9. The pool will be available to the public on Mondays, Wednesdays, Fridays and Saturdays from 9 a.m. to noon. School district residents interested in enjoying the pool will need to bring proof of residency and pay a fee of $5 per person per visit. Four lanes of the pool will be available for open swimming and two lanes will be open for lap swimming only. Children 13 and under must be accompanied by an adult at all times. Swimmers with flotation devices must be within an arm’s reach of a supervising adult. Only U.S. Coast Guard-approved flotation devices will be allowed. In July 2015, Assemblyman J. Gary Pretlow announced the allocation of $1 million in state funding to make necessary repairs to the pool. It was affected by a leak in 2010 and due to budget cuts, the district was not able to afford repairs. The capital secured by Pretlow allowed Mount Vernon to bring the pool into compliance with all applicable rules and regulations. Renovating the high school pool was a priority for the district, but the funding secured by Pretlow accelerated the plan, which consisted of three phases and was completed in December, 2017. For more information about family laps and swimming, contact ariullano@mtvernoncsd.org. 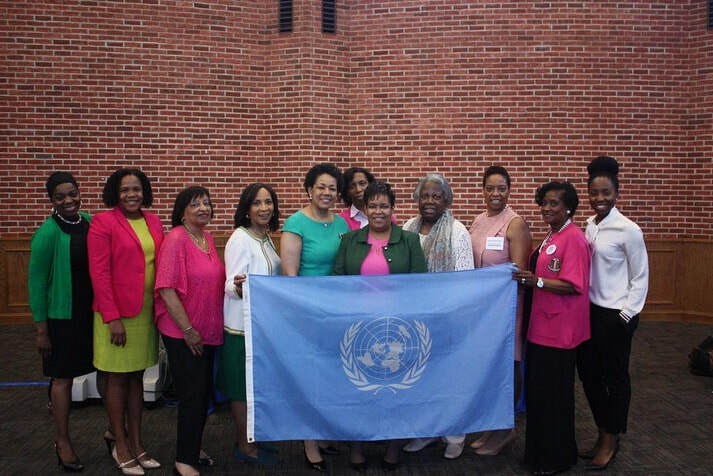 The Zeta Nu Omega Chapter of Alpha Kappa Alpha Sorority, Inc. partnered with the United Nations Association - USA Westchester Chapter - to sponsor a Mini-Model United Nations conference on June 2 at the Dobbs Ferry Campus of Mercy College. Model UN is a simulation of the UN organization and its participants take roles of "delegates" from various countries and debate current issues. With several chapter members and students in attendance, Professor Michiko Kuroda of the International Relations and Diplomacy Program (IRDP) of Mercy College and a panel of smart and spirited IRDP Mercy college students trained and practiced with participants in preparing for a conference as "delegates". The subject matter and current issue was on Climate Change and participants represented different countries including but not limited to Canada, Japan, China, France and the United States. Participants acted as diplomats, made speeches, negotiated, drafted resolutions and adopted resolutions during the day long program. It was recognized that climate change is a complex problem through the viewpoint of the several countries represented during the simulation. Remarks were made by Zeta Nu Omega Chapter President Kristel Johnson and Dr. Brenda Smith, who is the Vice President of UNA-USA and also serves as Zeta Nu Omega Chapter’s co-chairman of the Environmental Ownership committee. Everyone who attended built a bigger capacity to the views of other countries and all left the conference with a stronger knowledge and understanding of the great work of the UN. There's evidence that you may be able to ease certain types of chronic pain by consuming foods or supplements that are high in omega-3 essential fatty acids. Omega-3s, commonly called "fish oil" because of their primary source, have been shown to lessen the intensity of joint pain and stiffness in rheumatoid arthritis and neck and back pain, as well as pain caused by inflammatory bowel disease and menstrual cramps. Omega-3 fatty acids lower inflammation within the body, which helps reduce conditions such as heart disease. The same mechanism may be at work in lowering pain. Indeed, some research subjects with chronic pain who took 1,200 to 2,400 milligrams of omega-3 in supplement form daily were able to reduce or eliminate their use of nonsteroidal anti-inflammatory drugs, or NSAIDs, in less than three months. Those medications, such as ibuprofen, can cause troublesome and sometimes dangerous side effects, especially with long-term use. Fish oil, even in supplement form, appears to be safer. The highest levels of omega-3s in food are found in fatty fish such as mackerel, Atlantic or sockeye salmon, lake trout, herring, sardines and canned light tuna. Two 3.5-ounce portions weekly can help lower inflammation, according to the U.S. Department of Agriculture. Following a Mediterranean-type diet—with emphasis mainly on fish, vegetables, fruits and little saturated fat—also appears to help reduce arthritic pain. Commercial and residential development in Mount Vernon has long been out of control. It is now reaching epidemic proportions that are destroying every corner of the city. of Article 78 challenges from developers if they stray from the dictates of current law. 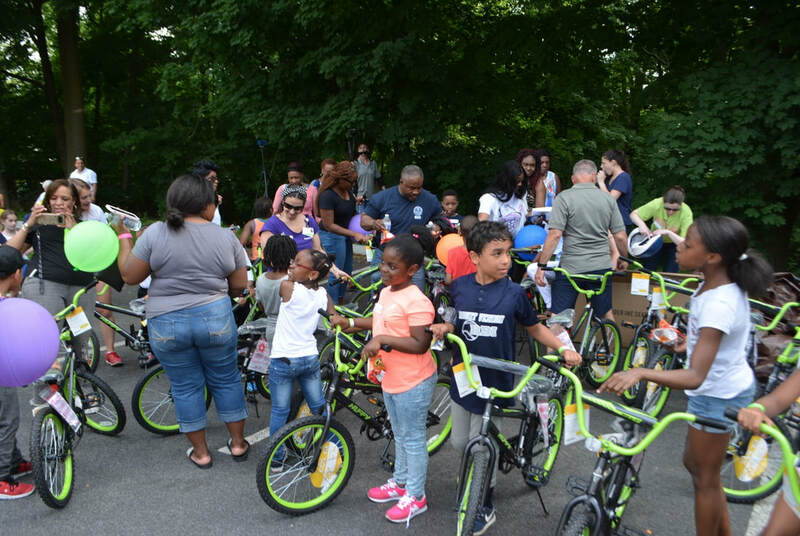 Wartburg, an award-winning provider of comprehensive residential and healthcare services for seniors, hosted Barnum Financial Group and Foundation for Life to surprise almost 30 children from the Boys & Girls Club of Mount Vernon with a brand new bike. The Bikes for Kids program provides an uplifting and empowering experience for kids who need it most. Since its inception, the Bikes for Kids program have given away over 3,000 bikes and helmets to underprivileged children. The Westchester Rent Guidelines Board (WRGB) wrapped-up its hearing season on June 18 at Mount Vernon City Hall. Following presentations by Tenant and Owner Members, and a rebuttal by one of the Owner Members, the Board unanimously passed significant rent increases. Tenants whose leases renew between October 1, 2018 and September 30, 2019, will have the option of paying 2% for a one-year renewal, or 3% for a two-year renewal. This year’s increases are the highest guidelines passed since 2013. This is the second year in a row that the WRGB didn’t have a full complement of Members. Normally, the Board is comprised of two Tenant reps, two Owner reps, and five Public reps. Due to two vacancies, there were only three Public reps on the Board this year. The Westchester County Board of Legislators Appointments Committee interviewed and recommended two new Public reps, however, DHCR did not approve the new appointments in time for them to be seated and vote on this year’s guidelines. Tenants were at a disadvantage last year, when they were solely represented by then-brand-new Tenant Member Jean Anderson of New Rochelle. Long-time Tenant Member Rev. Emma Jean Loftin-Woods was ill and did not participate in the proceedings. Nevertheless, with support from fellow tenant advocates, Anderson was able to deliver modest increases for tenants: 1% for one-year, and 1.5% for two-year lease renewals. Despite Loftin-Woods’ return, this year’s results were disappointing to many tenants and their advocates. According to former WRGB Tenant rep Genevieve Roche, “The kindest spin one can put on this travesty of a result is that, regrettably, Ms. Loftin-Woods never resigned from the Board as she repeatedly promised over the last few years. Now that her term has expired, tenants deserve new representatives who will promote, rather than hurt, their interests. That, and having the Board schedule testimony sufficiently after landlord survey numbers are released, and schedule the vote sufficiently after Board presentations, both of which would allow for considered analysis of the facts before setting new rates. I am optimistic next year will be better." The Building Realty Institute videotapes all of the Westchester Rent Guidelines Board hearings and meetings, which can be viewed on YouTube by searching for Westchester Rent Guidelines Board. This year’s fireworks show was re-scheduled for Sunday, June 24, due to a threat of rain on Saturday, June 23. 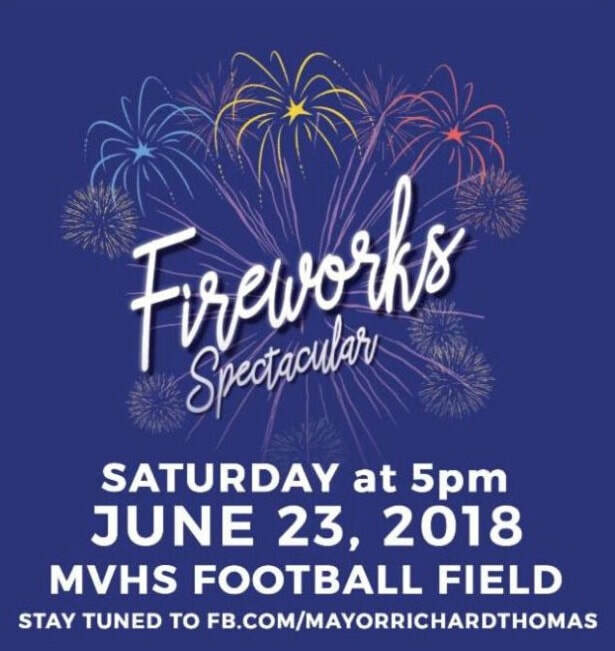 The change of schedule seemed like a brilliant idea since Sunday was a sunny and beautiful day, allowing hundreds to flock to Mount Vernon High School’s track area to view the fireworks show. Many learned from previous shows and came equipped with folding chairs, blankets, pillows, snacks and other outdoor comfort items. Attendance may have been equal to last year’s fireworks show that attracted a legion of people. Our long awaited summer has arrived, many weeks of fun, relaxation, and all the summer pleasures. As we look forward to this wonderful vacation, there are many activities for children that will keep their brains stimulated and help them learn while having fun. This is particularly important for children who have special learning issues. These ten weeks can mean a significant loss of information and skills, if we are not careful. Some children may find it very difficult to get back into their academic work in September when they have spent the lazy days of summer just hanging out, watching television, or playing video games. If your children have not succeeded during the school year, parents may be looking for an educational program or a private tutor. Summer school may be a recommendation. Before selecting a program, parents must be sure that the program fits their children's needs. It is essential that you speak to the teacher to know the program they will offer to students. You do not want your children sitting in a room simply completing worksheets to fulfill the summer school requirement. You want a program that fits the needs of your children. Parents must ask questions. Is the teacher familiar with specific learning deficits? What strategies will be implemented to help overcome deficits? Does the teacher have suggestions for activities to reinforce learning at home? Is the teacher patient? Listen to their responses, then make a careful decision. Plan ahead to keep minds active. Gather materials you have at home and put them in a place where you can find them when you need them. You may have phonics, reading and math workbooks, paper, pencils, pens, and crayons. Schedule some time during the week to review skills. This doesn't have to be each day but if you want your children to retain their skills, it is important to reinforce their knowledge. This will make a big difference when they return to school in September. Don't forget to use your public library. During the summer, libraries offer programs for children that are free of charge. 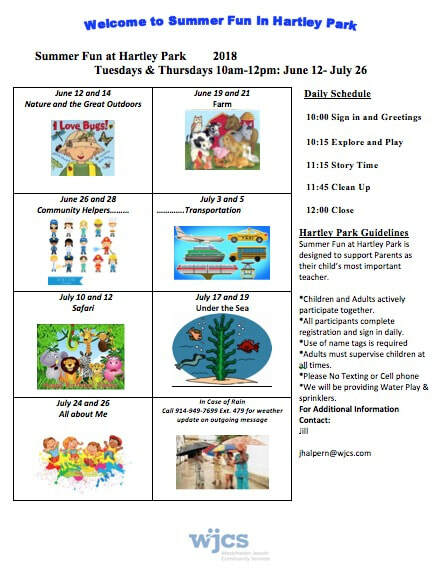 Take the time to share these events with your children. While you are there, gather some books for summer reading. Librarians can help you find books that are appropriate and interesting. Set aside some time to read each day, and if you can, read with your children. This builds a special bond with them. Take turns reading their books aloud. Children love to hear their parents bring the characters to life. This is one way we can encourage them to read and develop a love of reading. Everyone leads busy lives, but taking fifteen or twenty minutes to read together lets our children know that we believe that reading is valuable. When our children can read, they have power. So share the adventure. Cuddle up with your books and read. Pelham Art Center is pleased to present its highly popular Faculty and Student Showcase. This annual exhibition features new work in a variety of mediums by the Art Center’s distinguished artist-instructors and enthusiastic students. Exhibited work ranges from charcoal to oils, photographs to collage, and mixed media to ceramics and knitting. This exhibition provides a great opportunity to view and collect original art from emerging and established artists, and to view the results from the wide variety of classes offered by the Pelham Art Center. Since its founding in 1970, the Pelham Art Center faculty has grown as the Art Center has increased course offerings to embrace new media while continuing to provide instruction in traditional techniques. From beginners to accomplished artists, students of all ages who want to explore their creative potential have flourished by working with Pelham Art Center’s teaching artists. More than 1,320 students, from three to ninety-plus years old, attended over 150 visual art classes and workshops offered at the Art Center this past year. These classes are taught by more than thirty art educators, many of whom are participating in this exhibition alongside their students. Opening reception is being held, Friday July 13, 6:30-8:00 pm. Free and open to all. Independence Day will be commemorated at St. Paul’s Church National Historic Site, in Mount Vernon, NY, on Wednesday morning, July 4, beginning at 10:30 AM. The ceremony features a reading of the full text of the Declaration of Independence and tolling, 13 times, of the colonial era church bell, saluting the original states. The keynote address will be delivered by journalist and historian Alison Cowan, who has written about Deborah Sampson, the woman who disguised herself as a man and served honorably with the Continental Army during the Revolutionary War. There will also be music and refreshments and a tour of the national historic site following the morning ceremony. The site is open from 9 AM to 5 PM. 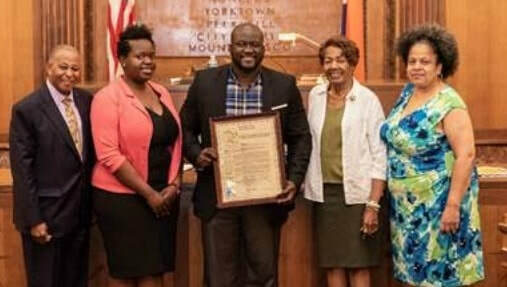 The Westchester County Board of Legislators marked Caribbean-American Heritage Month with a special ceremony Monday night honoring Caribbean-American community leaders and organizations in Westchester. 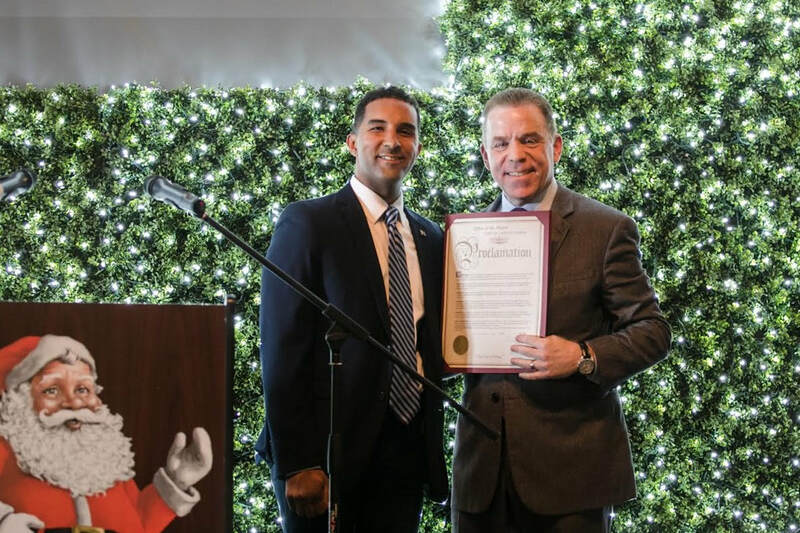 This year’s celebration focused on the contributions of local Haitian Americans to life in Westchester. Board Vice Chair Alfreda Williams (D- Elmsford, Greenburgh, Sleepy Hollow, Tarrytown), presented a proclamation to The Haitian Resource Center. Founded in 2013 to serve the needs of the Haitian community in White Plains and beyond, the center provides enrichment programs for school children, referrals for immigration, citizenship, vocational, educational and other services, and produces a monthly TV show, Sak Pasé, on White Plains cable television, among other activities. A proclamation was presented to decorated Mount Vernon firefighter and community volunteer Lieutenant Mike Jean-Jerome. 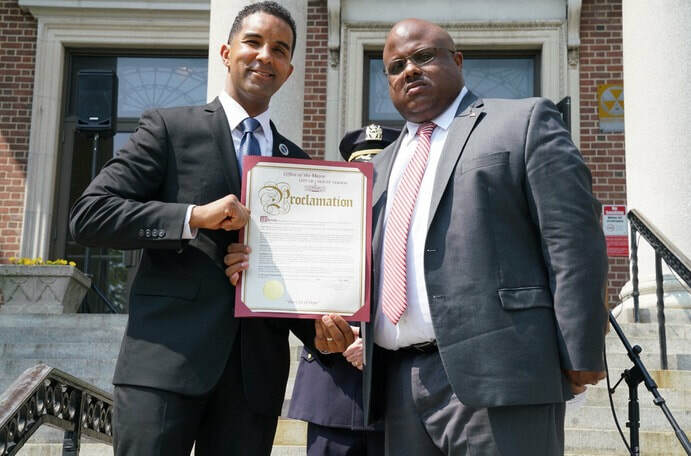 Among Lieutenant Jean-Jerome’s community activities is his work as a counselor for the Youth Shelter Program of Westchester, which provides an alternative to jail for young men awaiting disposition of various criminal charges. Lt. Jean-Jerome called out one of the young men he’s worked with noting that he has now taken the test to become a Mount Vernon firefighter. “These are the reasons why I do the things I do,” Lt. Jean-Jerome said. 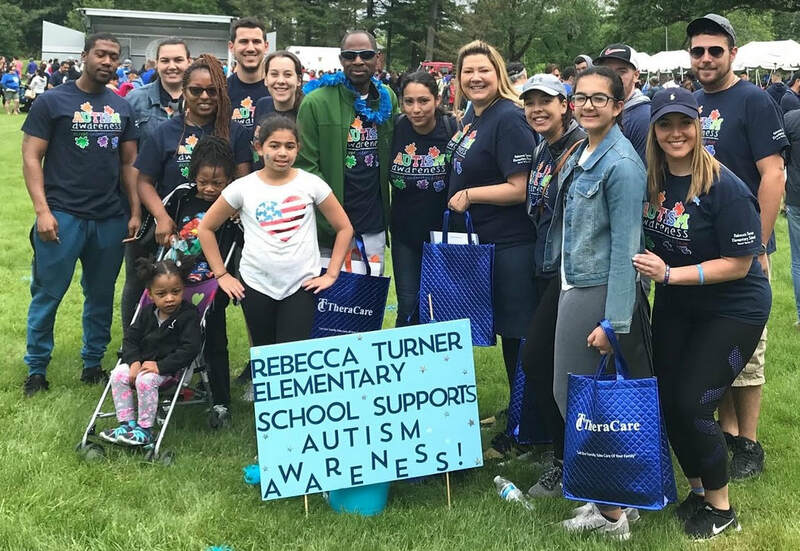 Rebecca Turner Elementary School’s teachers, staff and families came out to support students with autism on Sunday, June 3, at the Westchester/Fairfield Autism Speaks Walk and raised $885 for the organization. Raising funds to support students with autism spectrum disorders is important to Rebecca Turner because the school, in addition to educating students from preschool through fifth grade, is also home to an autism cohort of eight classrooms. The cohort classes at the school are primarily for students with autism spectrum disorders, speech and language impairments, and/or other global developmental delays, who benefit from a small class size and student-to-teacher ratio. These classes use the principles of Applied Behavior Analysis to increase desirable learning behaviors and decrease those behaviors that are a barrier to progress and learning. A significant focus is on the students’ language skills including: requesting, labeling, responding to language as a listener, and engaging in communication exchanges, whether it be via spoken language, sign language or other types of symbol representation (ie: pictures and printed words). The money will go directly to Autism Speaks, which is dedicated to promoting solutions, across the spectrum and throughout the life span, for the needs of individuals with autism and their families through advocacy and support; increasing understanding and acceptance of people with autism spectrum disorder; and advancing research into causes and better interventions for autism spectrum disorder and related conditions. Mayor Thomas: "A house divided cannot stand"
Abraham Lincoln might as well have been speaking about the current state of Mount Vernon when he said, "A house divided cannot stand." The city has three branches of government. Political differences are healthy. But not to the point of paralyzing the city's ability to deliver services - services residents struggle to pay for with their hard-earned tax dollars. Services cost money. Paying for them should not be a political weapon. Who could possibly argue that a city does not have to pay its Planning Commissioner? By a 16-0 vote Monday night, the Westchester County Board of Legislators approved a measure requiring that Westchester County police and public safety chaplains be active members of the clergy either residing in or presiding over congregations in Westchester. The measure will codify as law requirements enacted as an executive order in January by County Executive George Latimer. The law also requires that any chaplain be approved by the Commissioner of Public Safety and be included on a public list of such appointees provided twice yearly to the County Executive, County Attorney and Board of Legislators. The measures come after two former Department of Public Safety chaplains, Jeremy Reichberg and Jona Rechnitz, became embroiled in an influence peddling scandal last year. 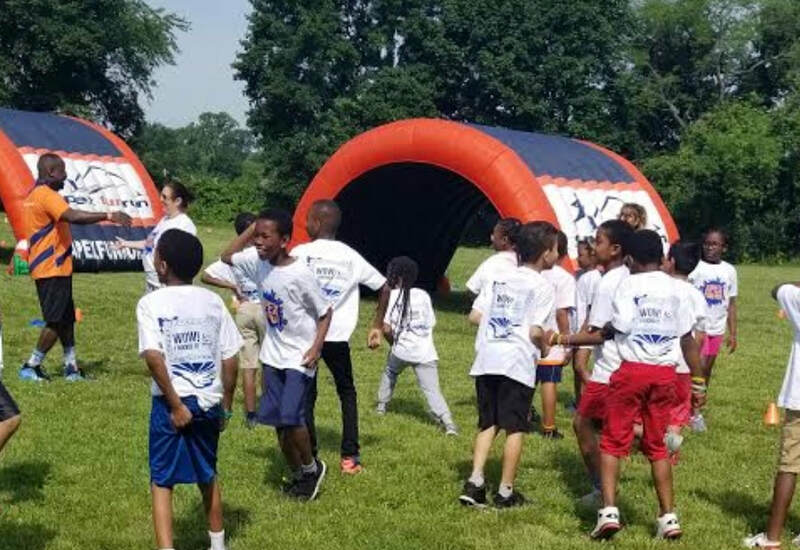 Students and staff recently held Pennington School's 2nd Annual Apex Fun Run, which is the school’s major fundraiser this semester. Since the closure of Memorial Field over ten years ago, Mount Vernonites have been using the adjacent track and field across from Memorial Field – Glover Field, uneventfully. I use the track at Glover Field seven days per week, along with countless citizens from Mount Vernon. At no time have I seen or heard of Mount Vernon residents being harassed or kept from using the track by Pelham officials or workers. I find his comments shocking, since I have never heard of a person(s) being kept from using the public track and field at Glover Field, unless there was a school or private related recreational activity about to take place. There are large signs that state the track and field is closed to the pubic just before or during said activities at the field. As a Pelham resident, I can assure you that Pelham officials understand the ongoing dilemma Mount Vernon residents have had to face concerning the endless debacle at Memorial Field. Therefore, I can assure you that whatever the mayor experienced at Glover Field had to be a misunderstanding on his part. I encourage any Mount Vernon resident to visit Glover Field any day of the week, especially during the early morning hours, and witness how many Mount Vernonites are pleasurably using the track and the field. 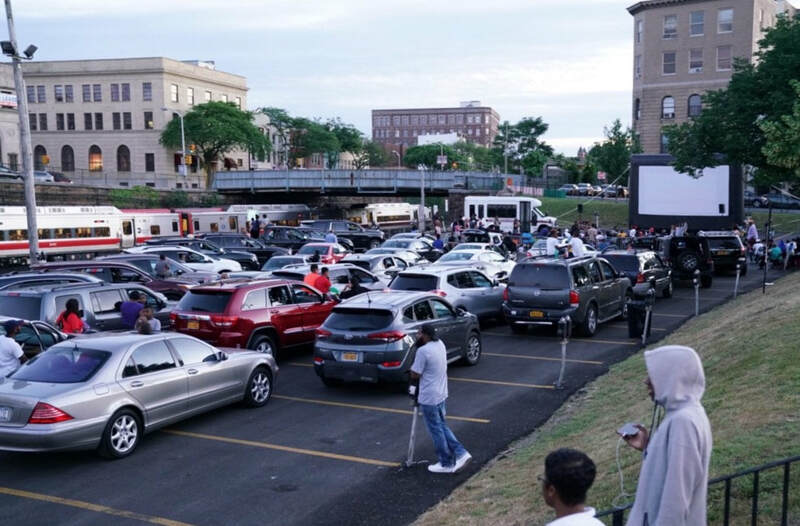 On Friday, June 15, Mount Vernon kicked off its Drive-In Movie series with a showing of Marvel’s Black Panther. The Drive-In Movie series is an expansion of the Movies in the Park series, bringing the community out for some great family friendly fun. Folks are provided with a beautiful summer evening, a great movie, and a fun old-school approach to the movies. Senior Jason Douglas-Stanley (right) receives William Davis Basketball Award from boys basketball coach Bob Cimmino. 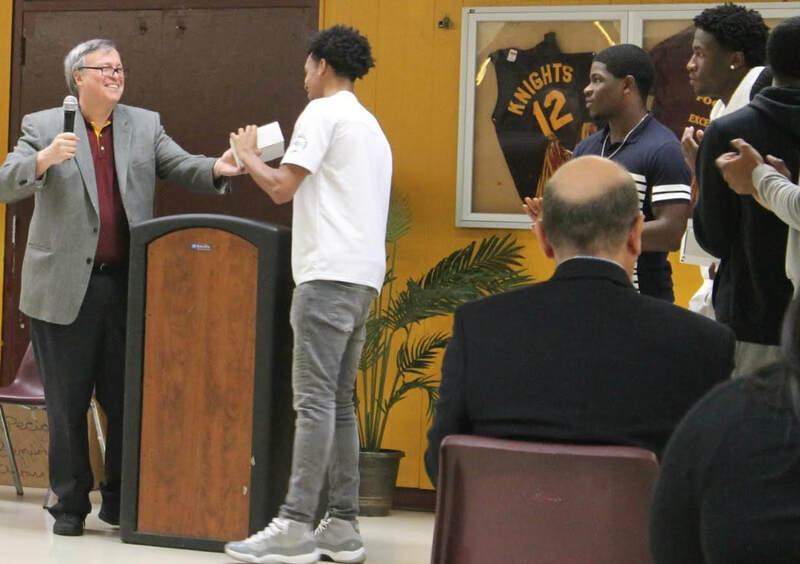 The Mount Vernon City School District handed out 19 awards to its student athletes Thursday at the district’s year-ending Sports Awards Celebration. Students from all sports attended and were celebrated at the dinner. Mount Vernon High School Principal Ronald Gonzalez thanked the superintendent and the Board of Education for their support throughout the year and told the student athletes that their efforts bring pride to Mount Vernon. 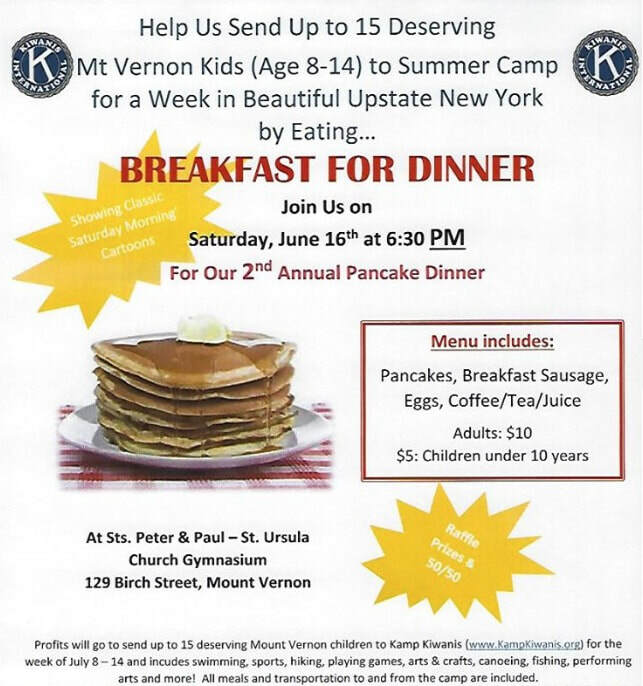 Hundreds of Mount Vernon residents are expected to gather at Memorial Field this Saturday, June 16th, at 11:30am. 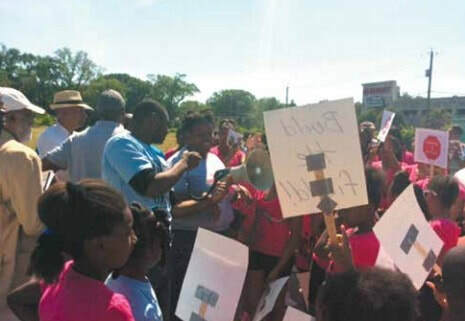 Real Voices of Mount Vernon is a coalition of parents, grandparents, teachers, coaches, and other concerned citizens who are tired of the political class selling out Memorial Field to the privileged few from other communities. 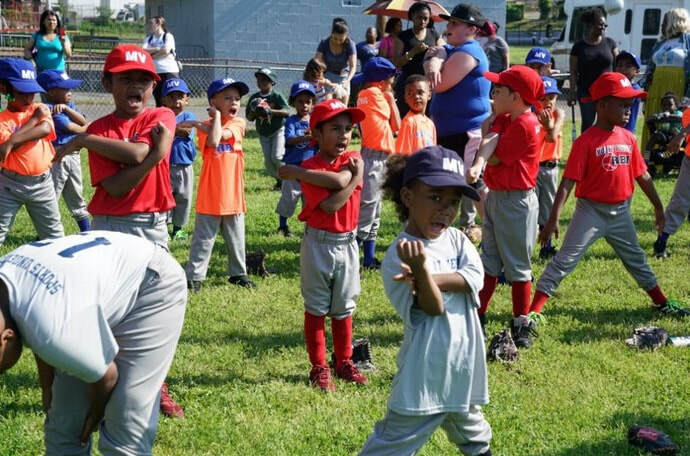 Real Voices of Mount Vernon members are expected to demand Memorial Field be open to all children and families and that the Mount Vernon City Council stop their campaign to bring Mount Vernon down. FOR PRESS INQUIRIES: Call Patrick Tyson, 347-961-6785. The Rally Begins at 11:30am with a special tribute to longtime Mount Vernon Razorbacks Team Mom Breezy Bivens at 12pm, Saturday, June 16th, 2018. 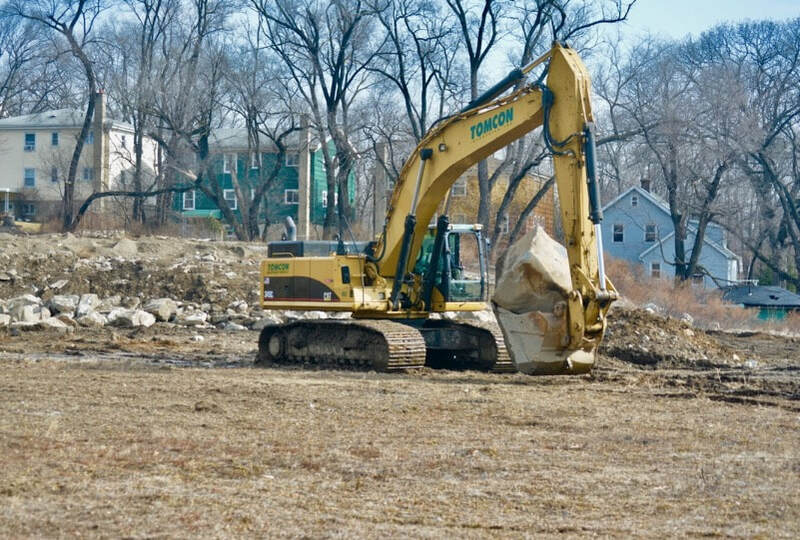 I join my other City Council members in being outraged, disappointed and deeply disturbed about the unlawful destruction of the tennis bubble and courts at Memorial Field. Sadly, Mayor Richard Thomas has done a disservice to the people of Mount Vernon by destroying private property and using the city’s police to protect his personal interests instead of the interests of the people of the City of Mount Vernon. Their actions have widespread implications for how developers and other entrepreneurs will think about doing business in our city. Who would take the risk of investing in a place where contracts are not honored and the police will not intervene when the rule of law is ignored? The mayor’s actions must be stopped. That is why the Mount Vernon City Council filed an injunction against the mayor and Comptroller Deborah Reynolds to prohibit further illegal actions at Memorial Field. Additionally, on Monday, June 11, I hand delivered our concerns to Governor Andrew Cuomo and the Attorney General Barbara Underwood in Albany. The City Council is committed to doing whatever is necessary to honor the city’s contract and obligation to KELA Tennis. 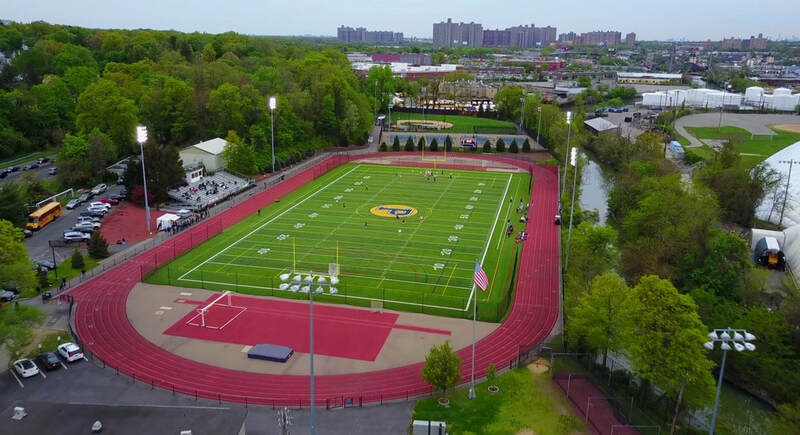 We are further committed to working with Westchester County to complete the renovation of Memorial Field and to fulfill our contractual obligation to complete the Tennis Center. The two are NOT mutually exclusive and we are doing everything within our power to make sure they happen. As part of his continuing effort to improve municipal services and fight the property tax burden, Mayor Richard Thomas has hired three seasoned professionals, with extensive public and private sector experience, to take on leadership positions in city government. Daniel P. Jones to serve as the Commissioner of the Buildings Department. Jones comes to City Hall with more than 25 years of experience in the utilities, engineering, and construction industries, as well as related fields. His extensive technical and management background includes jobs at Consolidated Edison, General Electric, PSEG/PSEGLI, and the New York City Department of Environmental Protection. Jones received his Bachelor's and Maste of Science in Electrical Engineering from the Polytechnic Institute of New York University. Brett Erasmus to serve as Commissioner of Management Services. As head of Management Services, his duties include producing the annual budget, overseeing information technology and providing resources and support to the city's other departments. 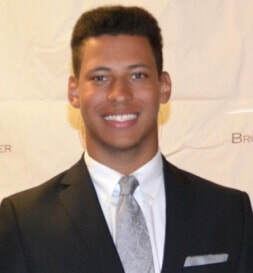 Erasmus' professional background includes working for Deutsche Bank and Price Waterhouse Coopers in the areas of finance and global and capital markets. A native of South Africa, Erasmus received his bachelor's degree from Nelson Mandela University and his MBA from New York University's Stern School of Business. Cranson D. Johnson to serve as Deputy Commissioner of Taxation and Assessment. Johnson has expertise in property valuation, auditing, and business analysis. He has a worked for Fortune 500 companies, including Sprint Corporation, where he served for decades in account retention, project management, and business analysis. Johnson received his Bachelor of Arts from Baruch College. "I am proud and honored that these three individuals have chosen to serve the people of Mount Vernon," Mayor Thomas said. "All three are seasoned professionals with the levels of expertise that will help us deliver on our goal of providing residents with services that are efficient, responsive and sensitive to the high burdens placed on taxpayers. 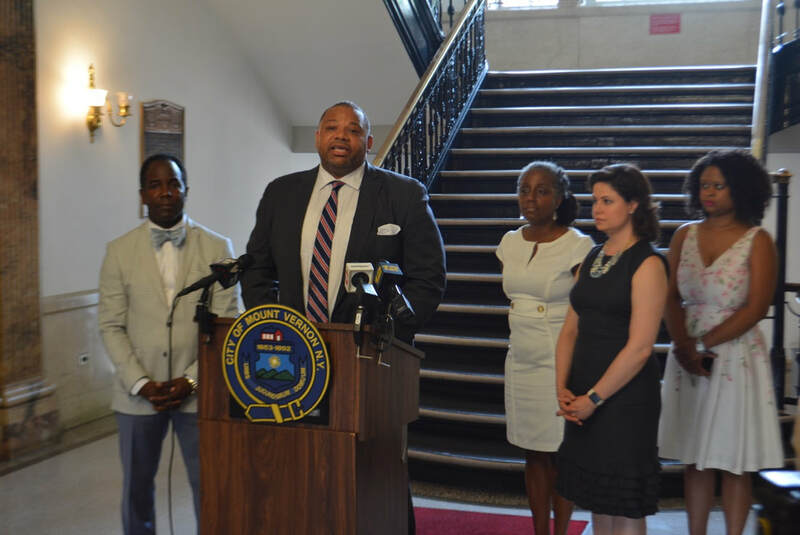 Professionalizing our city departments is one way my administration is working to strengthen the local economy and deliver value to the people of Mount Vernon," said Mayor Thomas. In proclaiming June as Caribbean American Heritage Month in Westchester County, the Board of Legislators will celebrate the outstanding contributions of individuals and organizations within the community before our Monday, June 18, 2018 meeting. The celebration begins at 6:30 p.m. in the Board Chambers at 148 Martine Avenue, 8th Floor, White Plains, NY 10601. We invite you to join us as we pay tribute to our honorees who have greatly contributed to the Caribbean American community throughout Westchester County. Congressman Eliot Engel announced the Mount Vernon Neighborhood Health Center Network has been awarded a $4,634,599 federal grant from the U.S. Department of Health and Human Services. 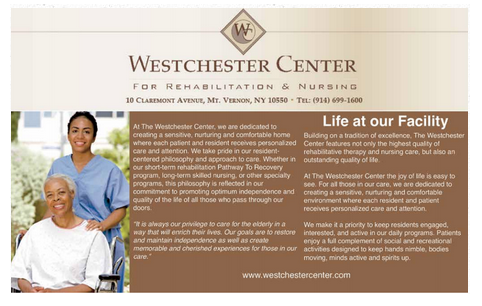 The funding will help the Network provide critical care to individuals in Mount Vernon, Yonkers, Greenburgh and the surrounding areas. "On behalf of the patients and staff of the Mount Vernon Neighborhood Health Center we are grateful for being awarded this significant grant that will help us to continue to provide the highest level of care to our most vulnerable patients and families,” said Opal D. Dunstan, Chief Executive Officer, Mount Vernon Neighborhood Health Center Network. “Thanks to Congressman Engel for his support of Health Centers and all his efforts in helping to secure funding for Community Health Centers such as the Mount Vernon Neighborhood Health Center Network, Yonkers Health Center and Greenburgh Community Health Center. The Mount Vernon City School District gave away 125 donated nooks to students at the Superintendent’s Fourth Annual Reading Challenge Celebration at Traphagen Elementary School’s fields Thursday afternoon. 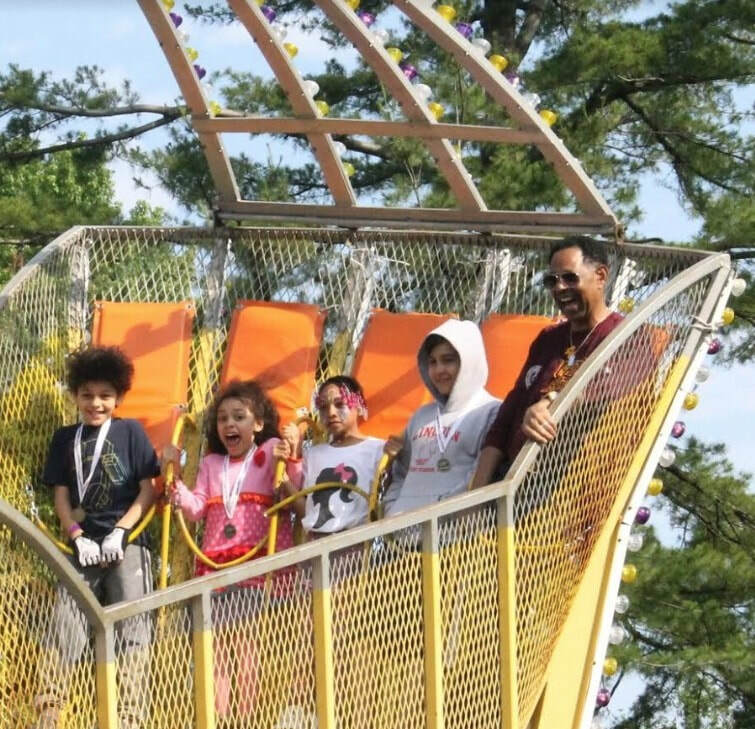 The carnival was held for students who reached their reading goals this school year. At the beginning of the school year, Superintendent Dr. Kenneth R. Hamilton challenged kindergarten through eighth-grade students to read 200,000 books. He then invited students who achieved their goals to the end-of-year celebration. In total, students read approximately 218,000 books this school year. “The driving force behind this is making our community more literate and engaging the community more in a family activity,” Dr. Hamilton said. The incentives are not limited to the carnival. Throughout the year students are celebrated with recognition, book gifts, and certificates as they move towards the goal. The two highest readers in each school attend a fun day with the Superintendent at New Roc City’s Fun Fuzion. This year it will take place on June 20. The Mount Vernon City School District is expanding its student uniform policy districtwide in September. This fall, the uniform policy will be implemented in the district’s reconfigured PreK-7 and PreK-8 buildings, as well as the new AB Davis STEAM high school. The school uniform mandate was initially adopted by the district’s board of trustees in 2016. The policy allows schools in the district to mandate students wear uniforms if they present certification to the board. Proper certification will include agreements from a minimum of 80 percent of families at the school. 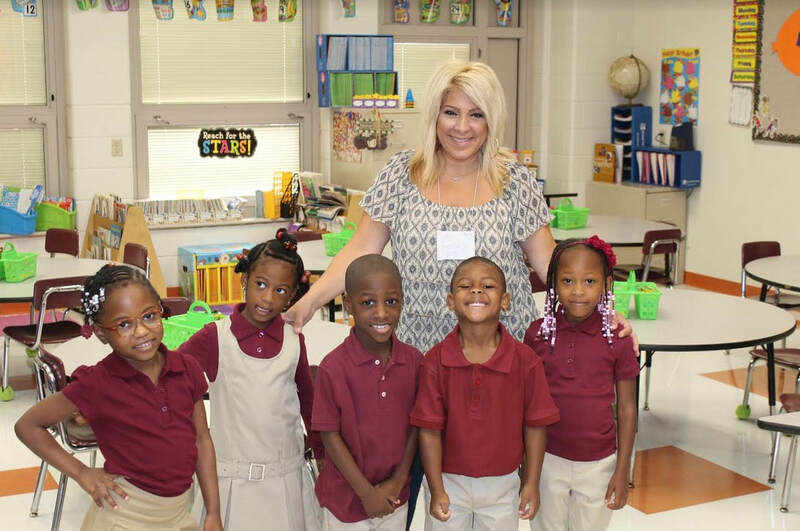 Uniforms were worn in all of the district’s elementary schools during the 2017-18 school year. Superintendent of Schools Dr. Kenneth R. Hamilton is pleased by the support this initiative has garnered. According to the adopted board policy, the intent is not to inhibit or prohibit any student who is not in uniform from receiving the education to which he or she is entitled. Therefore, no student will be subject to disciplinary actions for not complying with the policy. Students will be given input on uniform selection and may receive uniform waivers for reasons of health or religious freedom. The district will offer assistance in purchasing uniforms to families facing financial hardship. 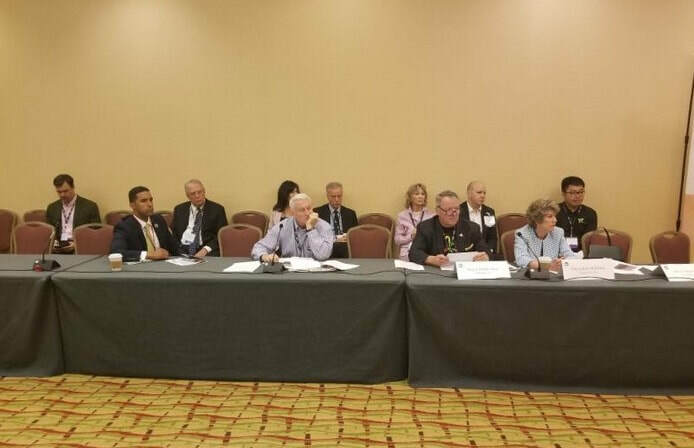 Mayor Richard Thomas recently joined a select group of mayors from around the country at the US Conference of Mayors 86th Annual Meeting in Boston, MA. Mayor Thomas is a member of the Energy Committee which sets policies for mayors around the country to follow and implement in their own city. "The most innovative ideas and solutions come from cities. Connecting one on one with mayors from across the country allows us to share what we are working on in Mount Vernon - to exchange ideas, and to build new connections," said Mayor Thomas. 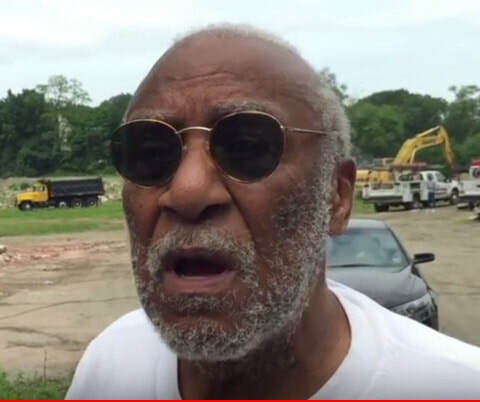 On Saturday, June 9, in response to a rally regarding the deflation of the bubble and eviction of Kela Tennis from Memorial Field, Mayor Richard Thomas reminds that illegal dumping under the tennis courts and at Memorial Field permitted by former Mayor Ernie Davis caused the metaphorical bubble to be burst, according to Mayor Thomas. Since Mayor Thomas entered office in 2016, he has put structure around the issues and set clear priorities to get Memorial Field back on track toward producing both revenue for the city and memories for its families. Through transparency, Thomas exposed that $1.2 million was spent on demolition that never occurred and millions more were misspent building a tennis court in the middle of the track, inches away from the end zone of the football field. The New York State Department of Environmental Conservation was clear in their decree that we must clean up the mess left behind by past administrations or face hefty fines, as much as $37,000 a day per violation. Mount Vernon already paid a steep price for our field being shut for a decade. It was believed that the drama was over after the City Council acknowledged the illegal dumping at the park and authorized its clean up in 2017. Accordingly, the situation with Kela Tennis is not just about them not paying approximately $500,000 in back-rent, it is also about the city's obligation to remove illegally dumped debris below the tennis courts. 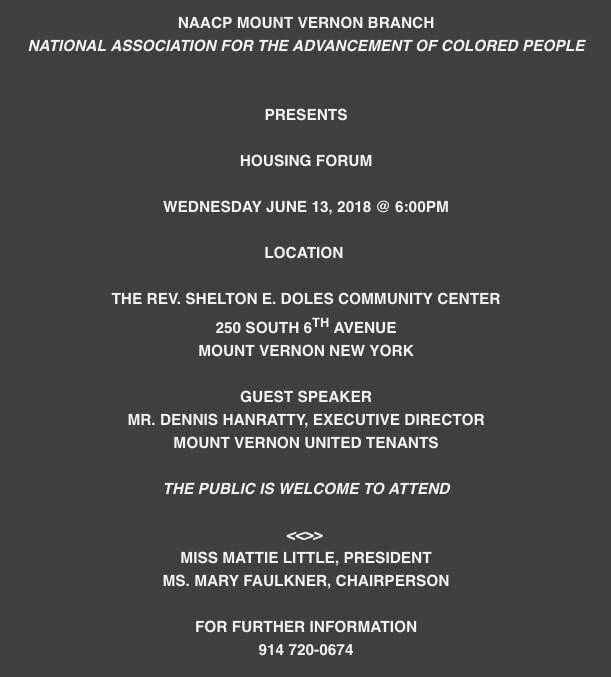 The matter devolved when Comptroller Deborah Reynolds and Mayor Thomas held the operator in breach of contract and ultimately revoked their privilege to operate in Mount Vernon. In 2016, the Thomas administration built the tennis bubble at Memorial Field. In 2017, the Council and Kela were told that the DEC included the tennis courts as part of the area for environmental mitigation. 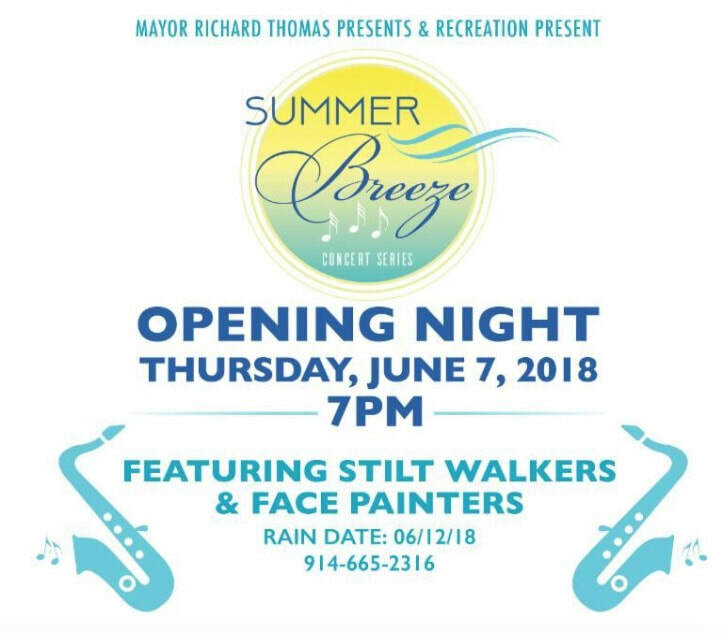 Mayor Thomas vigorously worked to convince the DEC to allow for one summer of tennis while the city addressed other compliance issues at the site. Mayor Thomas delivered. Kela Tennis and the City Council refuse to accept these facts and reject reality. Despite this, as another sign of good faith, Mayor Thomas made clear that once work commenced in 2018 the city would remain committed to building back the tennis courts with a bubble in the same year along with an 8-lane track and field for all sports. Now, these possibilities are in jeopardy because of petty politics. 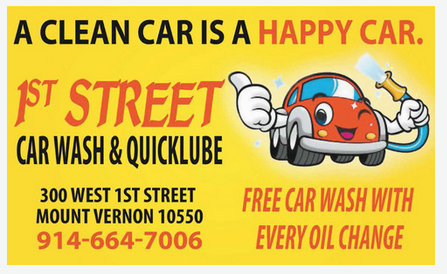 "There are thousands of people in Mount Vernon who deal with living a second-class status every day. These are the people that I work for because I am one them – displaced from Memorial Field and disinherited by the political elite. The simple truth is Mount Vernon has never negotiated for fair value or fair treatment in business, politics, or policy since Ronald Blackwood was Mayor. The bright flight of businesses and families with means show the downward spiral and unnecessary rise in taxes until 2016. " Judge ­­­­­­­­­­­­George E. Fufidio, Jr. today issued a temporary restraining order (TRO) against the City of Mount Vernon, Mayor Richard Thomas, and City Comptroller Deborah Reynolds, halting all activity at the Memorial Field site indefinitely. The parties are expected to return to court on July 10, 2018 for a hearing to determine whether to make the TRO permanent. The motion, brought by the City Council of Mount Vernon, argued that the Thomas administration has consistently failed to followed legal procedures, has squandered taxpayer resources, and has destroyed City assets in violation of the City Charter – all in connection with the Memorial Field project. On June 1, 2018, the City Council voted unanimously to transfer control of the renovation to Westchester County. Nevertheless, the Thomas administration has continued to direct unlawful and unauthorized activities and expend city resources at the site, including the controversial removal of the tennis bubble at the Kela Tennis Center. “It’s just sad, really. The citizens of Mount Vernon deserve better leadership than this. The Council had no choice but to seek a TRO against the Mayor to stop him from blatantly violating the law,” said Councilman Andre Wallace. “Memorial Field will be renovated, and it will be something we’re all proud of. But, it won’t be done by this administration. The process is already underway. Mayor Thomas is going to have to find another way to distract people from his criminal case." The City Council was represented by Henry C. Chan, Esq. of Wilson & Chan, LLP. Acting as the Mistress of Ceremonies was Sylvia Gadson and the DJ for the event was Brother Arthur. Michelle A. Nicholas, Vice President of Development and External Affairs at Family Services of Westchester (FSW), will be honored at the 21 st Annual “ 40 Under Forty ” Achievement Awards Ceremony on Thursday, June 21, 2018, in New York City. The award, sponsored by The Network Journal ( TNJ ), is designed t o recognize young African - Americans who have proven to be exceptional performers in their industry and committed contributors to the development of their community. TNJ created the 40 Under Forty Achievement Awards in 1997 to promote mentorship and pr ofessional d evelopment for the next - generation of accomplished leaders by introducing them to the established busine ss community as role models for young African - Americans. The awards ceremony, themed “Reaching for Higher Goals,” will be held at the NYIT Aud itorium on Broadway at 1871 Broadway (bet. 61st & 62nd Sts. ), from 6:30 p.m. to 9:30 p.m. For more information, please visit www.TNJ.com. For more information, please visit www.fsw.org or call Alex Payan at 914.305.6876 . 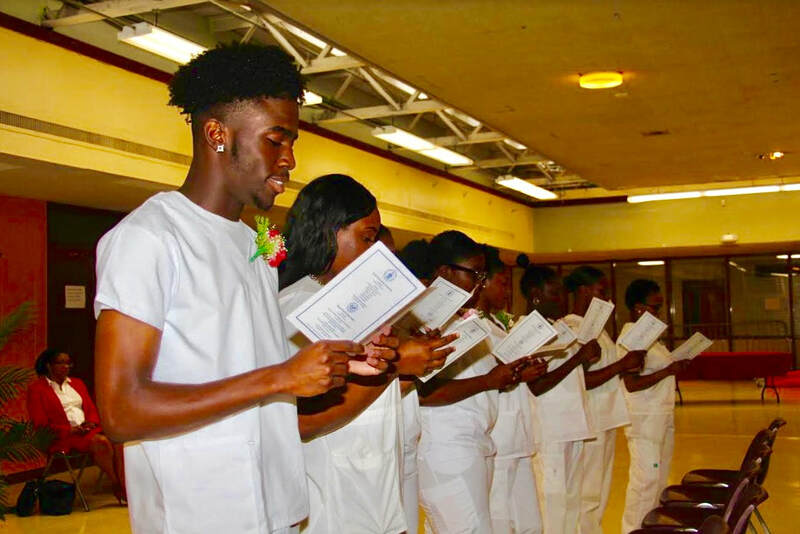 Eight Mount Vernon High School students have completed the school’s Nursing Assistant course and are now New York State Certified Nursing Assistants. “These students took on the challenge to become a Certified Nursing Assistant and now they have options for their future as they graduate,” said Elizabeth O’Loughlin, nursing instructor at MVHS. The students are: Sh'nya Banton, Kimaya Hamilton, Devonte Hyatt, Marieme Ly, Kayla Riley, Jahmeela Russell, Dionna Watson and Amanii Williams. The Nursing Assistant course follows the mandated training and competency for individuals performing nurse aide duties in accordance with state and federal regulations. The program, which is part of MVHS’s Career and Technical Education course offerings, is regulated by both the New York State Education Department and the Department of Health to ensure the program meets industry standards. Students sit for both written and clinical (hands on) testing at the completion of the program. The content of the curriculum includes skills and theories that are needed to facilitate the education and career development of students who wish to enter the health care system. As part of the program, the students also completed their resumes. Some of the students plan to attend college and will apply for Nursing Assistant jobs in areas closer to their schools, allowing them to work and study. 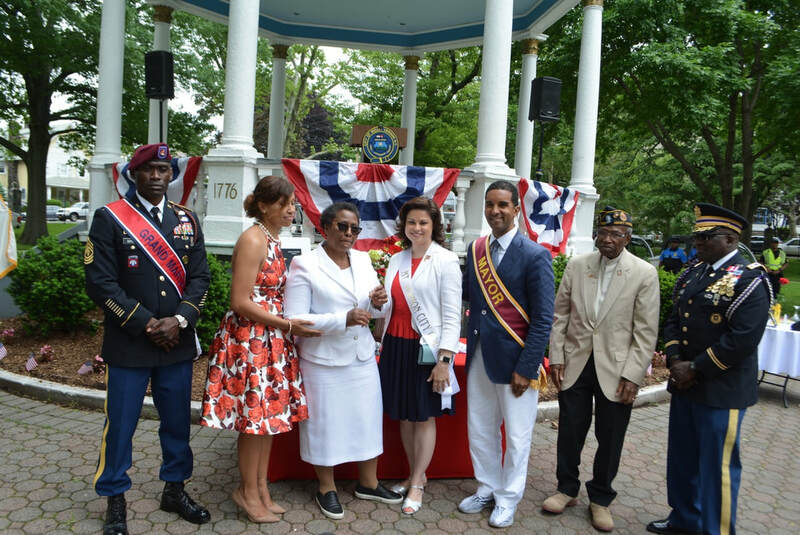 On Monday, May 28, at the end of the Memorial Day parade, Mount Vernon city officials, along with elected officials, and the members of the Central Committee for Veterans Affairs (CCVA), flocked to Hartley Park for the end of the parade ceremony at the gazebo. After speeches, the mayor and city officials, along with veterans, presented Mount Vernon Gold Star Mother Carmen Palmer with a gold commemorative pin. After the brief ceremony, Palmer walked over to the area where the Gold Star Mothers monument is situated and was shown a new rendition of the proposed Gold Star Mothers monument. David Abrevaya, an artist who works for Mayor Thomas, is redesigning the unfinished monument. The city has been working over eight years to finalize the project due to a lack of funding. Recently, State Assemblyman Gary Pretlow promised to generate the necessary funding to finally complete the well overdue monument. Palmer’s son, Marine Cpl. Bernard Gooden, died at age twenty-two in Iraq back in 2003. Consequently, the city never did what they promised to do and made a deal with the tennis court owner. “You do not have to pay the city rent until we keep our end of the bargain,” Davis told the owner of the tennis courts. It was stipulated in the contract, according to Davis. “The city started to do work on the tennis courts until Davis was ousted as mayor by Richard Thomas, and the promised work by the city was never completed. Mayor Thomas has publicized that the owner of the tennis courts owed a substantial amount of rent money, obligating the city to remove the bubble. But according to Davis, they were justified in not paying the city rent. The Westchester County Board of Legislators has voted to raise the age limit for the sale of tobacco and related products in Westchester from 18 to 21. The measure will prohibit the sale not only of cigarettes and tobacco products but also e-cigarettes and vaping products to those under 21. Westchester is just the latest to raise the age for tobacco sales. Earlier this month, the town of New Castle raised the age there to 21. Last month Rockland County did the same. New York City established 21 as its age limit in 2013. Many counties across New York have already established 21 as the tobacco-sales age limit – from Cattaraugus in Western New York to Schenectady County upstate to Onondaga County in Central New York to Suffolk County on Long Island. Lawmakers believe the new measure will dramatically reduce the number of new smokers and the likelihood of new addictions to vaping products, some of which have a higher nicotine content than cigarettes. 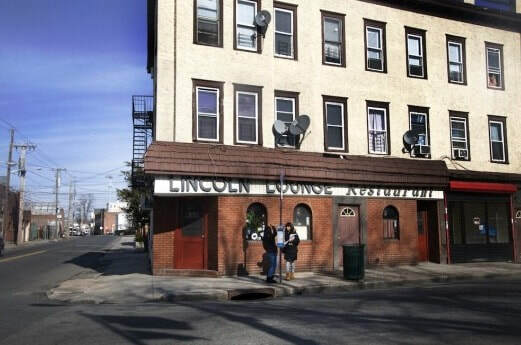 The Lincoln Lounge, located at 209 Stevens Avenue, has shuttered its doors for the second time in the last three years. The current owner completely renovated the longtime favorite and iconic Italian Restaurant when he took over the helm three years ago. Many are surprised that he is closing after such a short period. The restaurant has been in existence for the last 65 years, and many don't expect it to open ever again. 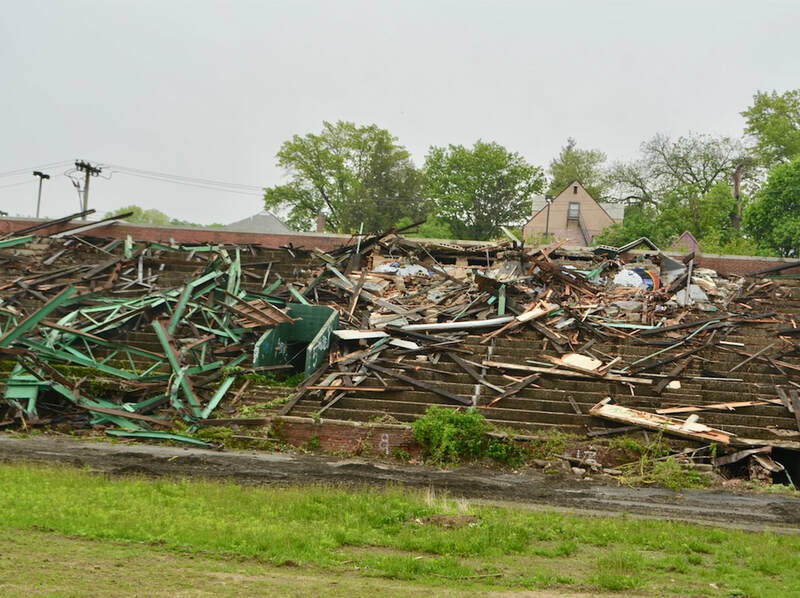 Mount Vernon has taken down the grandstands at Memorial Field because they were decayed and in disrepair. Just recently, they continued their aggressive actions by reclaiming the tennis bubble and breathing new life into the future of Mount Vernon's iconic Memorial Field. "The goal is to build a new and better Memorial Field, one that is actually open to the public and available for our people to use. The new Memorial Field will host families, let our children play, let our aspiring young athletes practice and compete in a facility that they deserve. We are building a multi-purpose complex with a regulation eight-land track, tennis courts, and accommodations for football, soccer, lacrosse, concerts, and activities. It will be a Field where dreams are realized and champions are made." "Some people have asked questions about why it was necessary for the tennis bubble to be removed. For months, my administration has been in discussion with the private operator, who leases the facility, about our serious concerns. The operator has failed to pay any rent for years owing the city hundreds of thousands of dollars, they have failed to provide adequate access to our children to learn and play, and they have failed to address the city's concerns which they were on notice of since February of this year. They have breached their contract with the city. Despite our numerous attempts to work with them, they refused, leaving the city with no option," added Mayor Thomas. 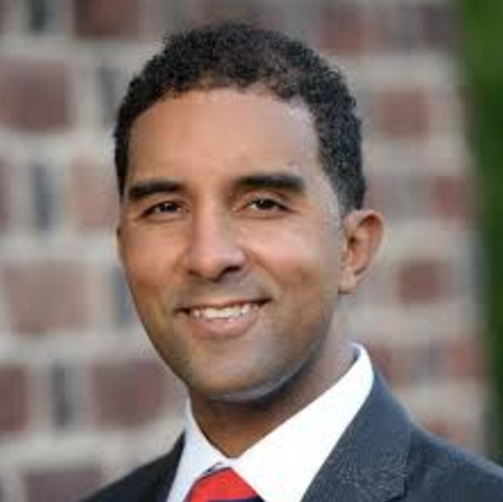 City Councilman Marcus Griffith said that the mayor failed to follow the required procedures to take down the tennis bubble, just as he did with the grandstands. "We're concerned because the bubble did not have to be taken down in that way," Griffith said. 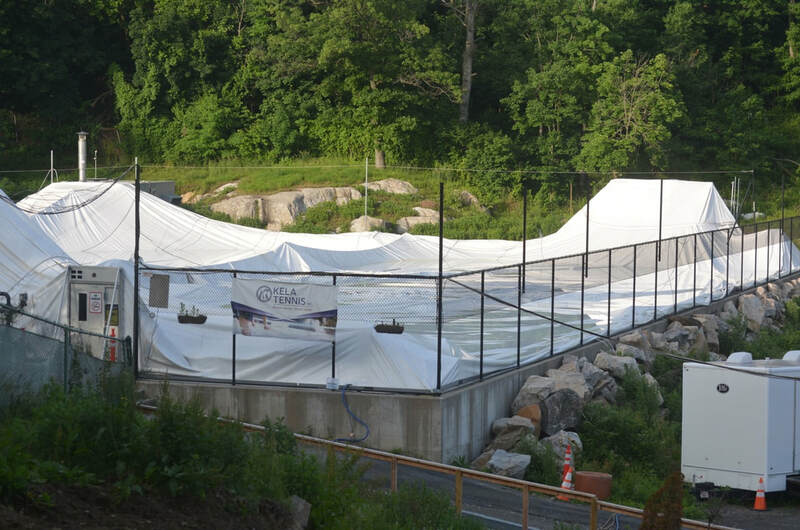 "It's a $1 million bubble that was paid for by the owner of the tennis courts." The mayor's actions is expected to lead to a lawsuit by Kela Simunyola of Kela Tennis. The highly anticipated and publicized Memorial Day Parade was held as scheduled on Monday, Memorial Day, during a cool day and dark clouds. 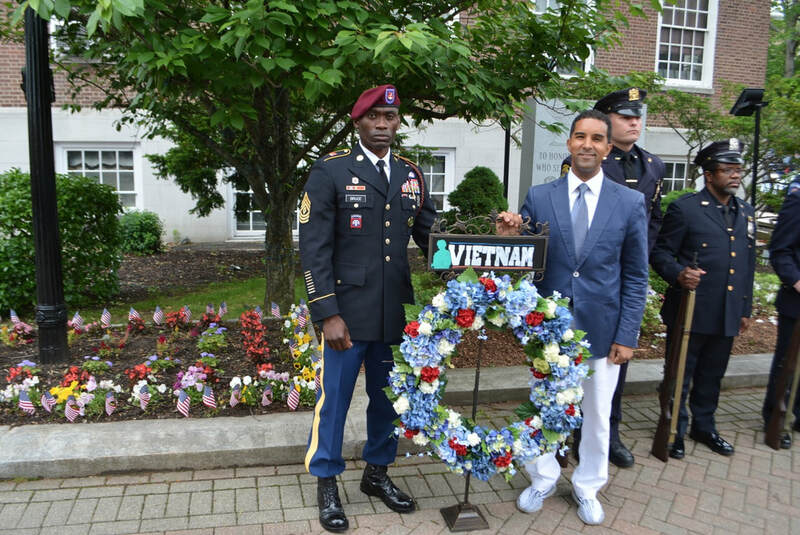 Prior to the start of the parade, the traditional wreath laying ceremony was held on the plaza of City Hall, which was extremely well attended by the public, dignitaries and elected officials. Also in attendance was Mount Vernon’s Gold Star Mother, Carmen Palmer. Kristyn Briez Reed, Director of the Mount Vernon Veterans Service Agency had the honor of acting as the Mistress of Ceremonies. On Friday, May 18, Mayor Richard Thomas swore in Carolina Fonseca, a seasoned architect with national and international experience, as Commissioner of the Mount Vernon Department of Buildings. Regrettably, Fonseca resigned her position within one week after being appointed. Fonseca has more than 20 years of private and public sector experience as an architect and urban planner and was an excellent choice for the position. Most recently, Fonseca was the owner and founder of her own design firm in Bronxville. She has extensive knowledge in green building practices and is an accredited professional in Leadership in Energy and Environmental Design (LEED). She was scheduled to succeed Curtis Woods, who was to return to his role as city engineer. Woods has been doing double duty as the city’s only engineer and supervising the Buildings Department. The task of providing the Planning Commissioner medical benefits was something Mayor Thomas failed to do when he hired her to work within the Urban Renewal Agency. Nonetheless, I won the case and I am glad his attempt to blame me for his shortcomings didn't work. I will continue to work for the residents of Mount Vernon and continue to stand up for what is right. 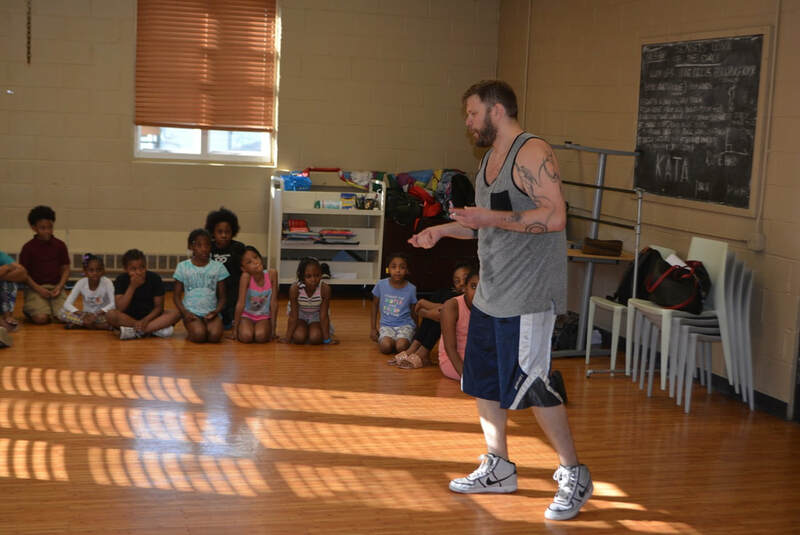 On May 24 and 25, award winning dancer, choreographer, and musician, Nicholas Young, conducted workshops at the Mount Vernon Boys & Girls Club to the delight of the young participants. Young, a Bessie award winner, began his professional career at the age of 16 in Texas. He most recently has been a collaborator with MacArthur Genius award winner Michelle Dorrance of Dorrance Dance Company. During the two workshops, Young instructed both dancers and non-dancers in the art of body percussion and spoke about his career path. The two workshops consisted of small groups, ages 10-12, and the youth were taught to use their bodies as their instruments to create sound through movement and rhythmic motion with body percussion. In the critically acclaimed dance work, Sound Space, Brian Seibert of The New York Times stated, "But the height of virtuosity came in a late body-percussion solo by Nicholas Young. Snapping, clapping, stomping and clicking his tongue, Young played the church with his body, a one-man band juggling two or three rhythms at once, developing a sophisticated composition within Ms. Dorrance's." The staff at the Mount Vernon Boys & Girls Club was extremely honored that Young donated his time and efforts to their members. Many years ago my mother told me something, which I have never forgotten. We were walking together on Center Avenue in New Rochelle. A friend passed us and I said hello. As we walked on my mother turned to me and said, "Diane! When you greet someone you should show that you are happy to see her. Use your voice and smile. " That was very good advice. However, I didn't realize the impact until I began teaching. Mix together wafer crumbs, cocoa, nuts and confectioners sugar. Add syrup and rum. Mix well and form into balls. Roll balls in confectioners sugar. Finely chopped coconut may also be added if desired. Makes 50 to 60 balls. Since day one, the Mount Vernon School of Music has been transforming young lives through excellence in music - teaching, performance, creative activities, research and service – and parents are noticing. The Mount Vernon School of Music staff collectively has over 30 years of experience performing and teaching music in the New York area as well as nationally. Their love and passion for music is evident in their dedication to the children of Mount Vernon and Westchester County. Many Mount Vernon parents are having the vision to enroll their children in a school that is educating their children about the arts, teaching them how to become excellent vocalists, and also teaching them to play their favorite instruments – all in a safe environment. More than 200 chemical reactions in our bodies depend on zinc. This trace mineral is absorbed in the body from the foods you eat and is essential for normal functioning of the body. Your body can obtain zinc from eggs, sesame seeds, beans, cheese, oysters, nuts, sardines and dairy products. Strict vegetarians should be cautious to meet the daily requirement intake and can do so by taking supplements. Note that copper, iron and calcium interfere with the absorption of zinc. Growth and Development The importance of zinc begins at the fetal level. It helps prevent premature delivery and is instrumental in fetal development. Zinc deficiency can cause retarded growth in infants leading to poor mental and physical development. The mineral is also important for bone repair and hormonal balance in adolescents. Whether a cold, diarrhea or pneumonia, zinc is instrumental in fighting such diseases in the body. A daily intake is required to strengthen the immune system and ward off bacteria-causing infections before they get a chance to attack. Zinc also strengthens the immune system by aiding in the production of white blood cells that are the protective armor of the body. Zinc also helps speed the recovery process when it is taken with medicine, for example, in the form of prescribed supplements. A high intake of zinc, especially from animal protein such as oysters, has a direct positive effect on men and women alike with regard to fertility and general health of the reproductive system. In men, zinc fights off pathogens that may cause prostate infections; this maintains the welfare of the prostate gland. It can also increase sperm count and maintain a good balance of the testosterone hormone. In women, zinc has a calming effect on the undesirable symptoms of premenstrual syndrome. In celebration of high school students making the transition from secondary education to the collegiate ranks, the 'All Islands Association' held its 32nd Annual Scholarship Luncheon at The Surf Club April 30th. Three graduating high school students and a returning student—Elizabeth Bengha, Joshua Wiggins, Joseph Bansgopaul, and Marlene Malcolm—received a $1,000 scholarship toward their college education. “This is our small way of giving back to the community and encouraging students to further their education,” said Gloria Chin-Fatt, luncheon chairperson. Congressman Eliot L. Engel, a top Member of the House Energy and Commerce Committee’s Health Subcommittee, has cosponsored legislation to reauthorize the Children’s Hospital Graduate Medical Education (CHGME) Program. CHGME funding allows America’s children’s hospitals to train future pediatricians and pediatric specialists. H.R. 5385, the Children's Hospital GME Support Reauthorization Act, would authorize increased funding for this Program through 2023. “I can think of few issues more important than ensuring America’s children get quality health care,” Engel said. “The Children’s Hospital Graduate Medical Education Program plays a key role in making sure that happens, and I am proud to be a cosponsor of this bill to reauthorize that Program. Among the children’s hospitals that use CHGME funding to train future doctors is Blythedale Children’s Hospital in Westchester. Blythedale’s graduate medical education program is helping to address workforce shortages by training residents in specialty fields like child psychiatry. This bill will help guarantee that important work continues. “Blythedale Children’s Hospital, New York’s only independent pediatric specialty hospital, is very supportive of CHGME because it would strengthen federal support for vital pediatric training programs and the reauthorization will continue to support the pediatric workforce and protect access to care for children across New York,” said Adam S. Herbst, Esq., Chief Legal, Planning and Government Relations Officer at Blythedale Children's Hospital. 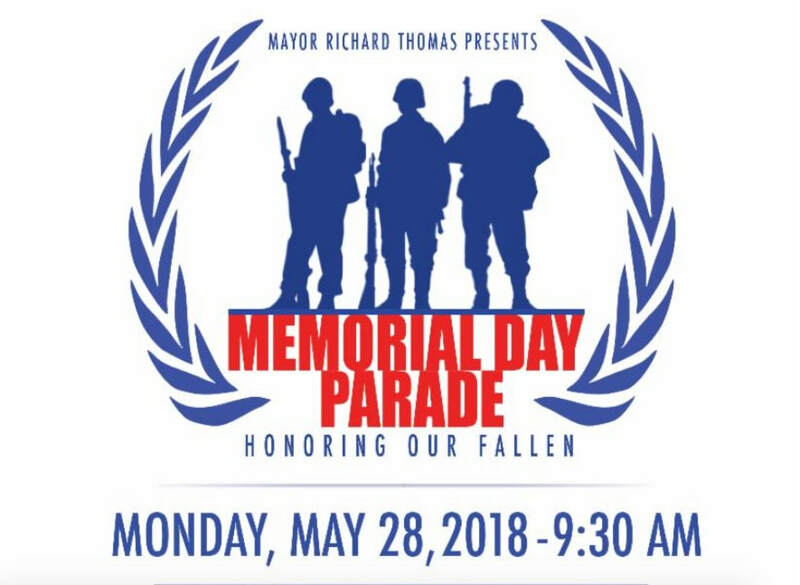 Mayor Thomas: Join us Monday, May 28, 2018 for our annual Memorial Day Parade where we come together as a community to pay our respects to the men and women who made the ultimate sacrifice for our country. Observance begins at 8:30 AM at Mount Vernon City Hall with a wreath laying ceremony. The Parade will begin two blocks away at the intersection of Prospect and Park Avenues at 9:30 AM, ending at Hartley Park. 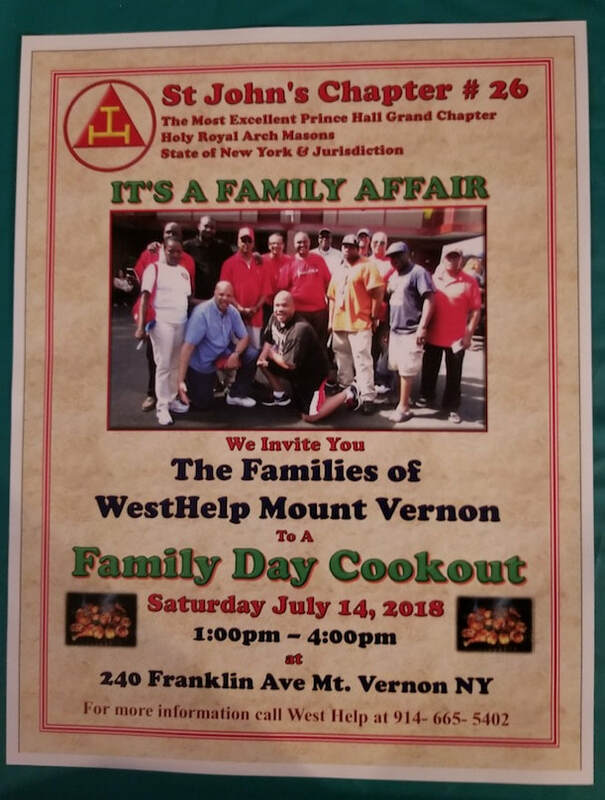 Mount Vernon will also inaugurate our Westchester Jerk Festival, a celebration of Caribbean food, music, and culture, Sunday & Monday 1 PM until 11 PM. Get your tickets here. 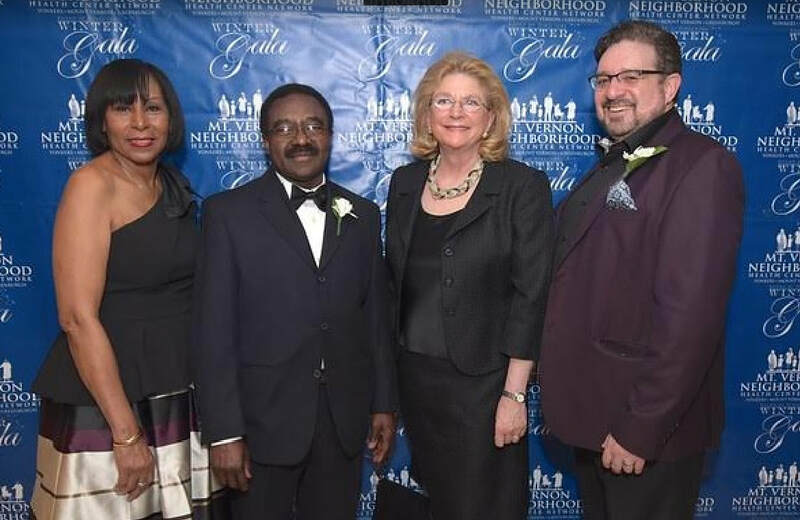 The Board of Directors of the Mount Vernon Neighborhood Health Center Network (MVNHC) a leading provider of community healthcare for over forty-four years, held its Annual Winter Gala on Thursday, March 8, 2018, at the Glen Island Harbour Club, Glen Island Park in New Rochelle, New York. 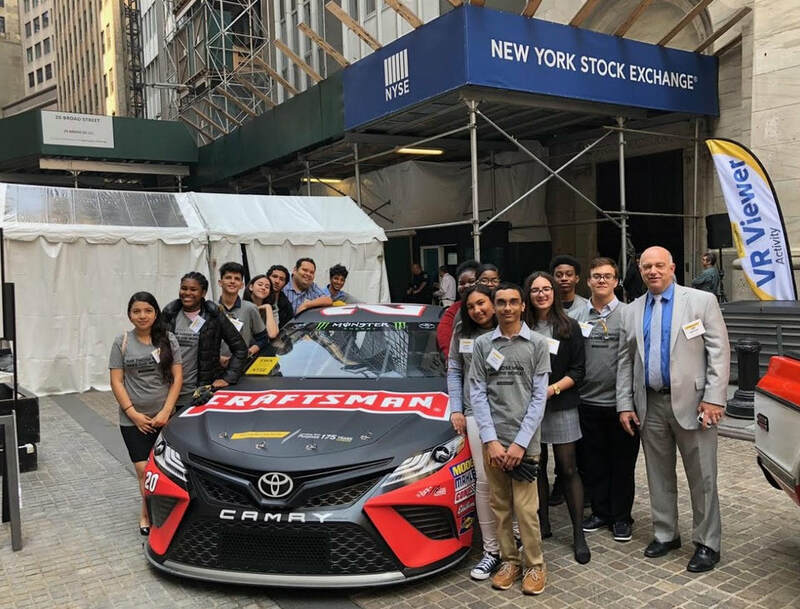 The excitement around next year’s opening of the district’s new STEAM Academy continued to build last week, as 15 students traveled to Manhattan and engaged in a STEAM-based Makerspace day courtesy of Stanley Black & Decker. The world renowned tool maker became aware of Mount Vernon’s STEAM initiative through a shared partnership with Discovery Education, a company that has been the district’s premier provider of curriculum development and professional development in creating the STEAM Academy. 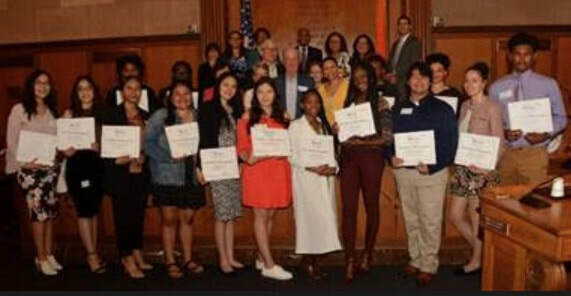 The Westchester County Board of Legislators and the Jandon Foundation on Wednesday announced the recipients of scholarships in the 2018 Jandon Scholars program. 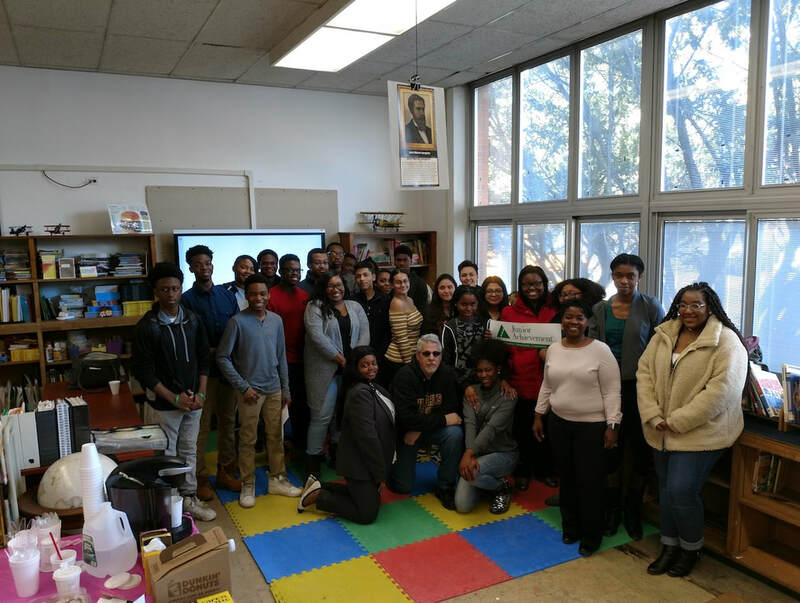 The program, now in its 19th year, awards $12,000 over four years to Westchester public high school seniors who meet certain academic requirements and financial eligibility guidelines, to help them complete their college educations. This year’s 15 scholarship recipients were celebrated at a ceremony at the Rotunda of the Board’s Legislative chambers Wednesday afternoon. March and April marked the 8th annual Junior Achievement’s Heroes for a Day event. The program gave the opportunity for fifty MVHS students to become “teachers-for-the-day.” Lessons focused on the City of Mount Vernon, globalization, and economics. The host elementary schools were Traphagen and Hamilton, respectively. ArtsWestchester, in partnership with the City of Mount Vernon the Mount Vernon Public Library and the Mount Vernon Boys & Girls Club, has announced a special outdoor performance by the world-renowned NY Ghanaian Dance & Drumming Unity Ensemble on Thursday, June 21st at 7pm. The free performance will take place at Mount Vernon City Hall Plaza and will feature two of the world’s finest Ghanaian dancers and drummers: Gloria Nyame and her husband, master drummer Richard Dwomoh (bios below). Gloria and Richard have been raising their five children in the City of Mount Vernon since 2013. The NY Ghanaian Dance & Drumming Unity Ensemble is known for its representations of Ghana’s many different ethnic traditions and features some of the top Ghanaian drummers and dancers living in the United States including Nii Boye, Hola Kutte, Attah Poku, Michael Ofori, and Ben Paulding. Also featured in the June 21st outdoor performance will be Marion Archer’s the Revelators, the First Ghana SDA Church Choir and prior workshop participants. In advance of the public performance, Gloria and Richard will be conducting free workshops for local Ghanaian and non-Ghanaian youth at the Boys & Girls Club of Mt. Vernon and the Doles Center. These free workshops will take place on June 2nd, 9th, and 16th, from 11:30-2PM. On May 17, American Christmas hosted 235 guests at its 30 Warren Place headquarters to celebrate the company’s 50th anniversary. The company was founded by Marvin Schwam in 1968 and Fred Schwarm was the owner and CEO from 1988 through October 2017. He then sold the business and the Mount Vernon headquarters building to MK Illumination of Austria. American Christmas remains the name of the firm and Dan Casterella became the new CEO on February 1, 2018. The party included employees, clients, suppliers, friends and family. Santa Claus was on hand for the festivities and The Grace Notes performed Christmas tunes. On Tuesday, May 15, 2018, Mayor Richard Thomas hosted the 2018 Police Memorial Week Awards Ceremony and presented a proclamation declaring the day Police Memorial Day. Mayor Thomas was joined by members of the City Council and the Mount Vernon Police Department in acknowledging active duty and fallen heroes for their immeasurable service to the great city of Mount Vernon. National Police Week was initiated by President John F. Kennedy in 1961 and marks the annual time to celebrate our men and women in law enforcement and pay homage to those that lost their lives in the line of duty. 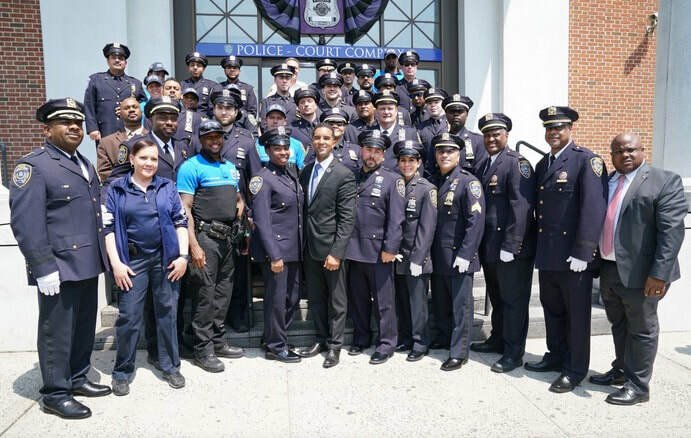 Mount Vernon paused during this special week to honor the Police Department and its heroes, and awards were presented to over 25 members of the department for life-saving actions and merit. Veterans of the First World War will be honored as part of the Memorial Day commemoration at St. Paul’s Church National Historic Site, in Mt. 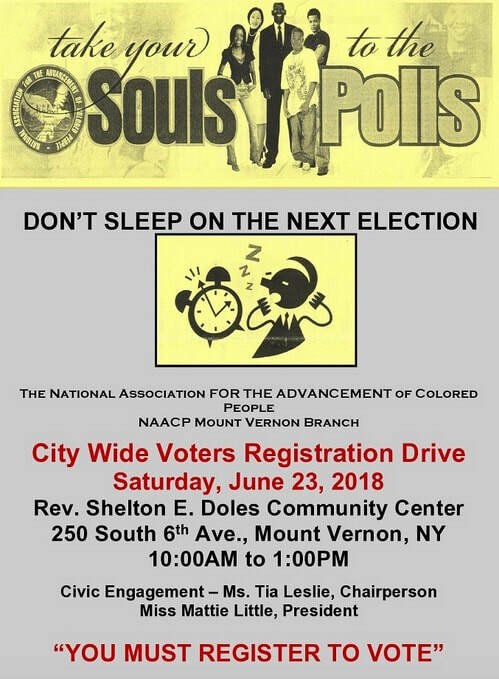 Vernon, NY, on Monday, May 28, beginning at 11 AM. The ceremony includes re-dedicating the gravestone of a private who died in 1918 and a special salute to Corporal Morris Link of the legendary Harlem Hell-fighters, 369th Infantry, who was killed in battle in France in July 1918, followed by interment at St. Paul’s. Walking tours explore the lives and service of the ten World War I veterans buried at St. Paul’s. 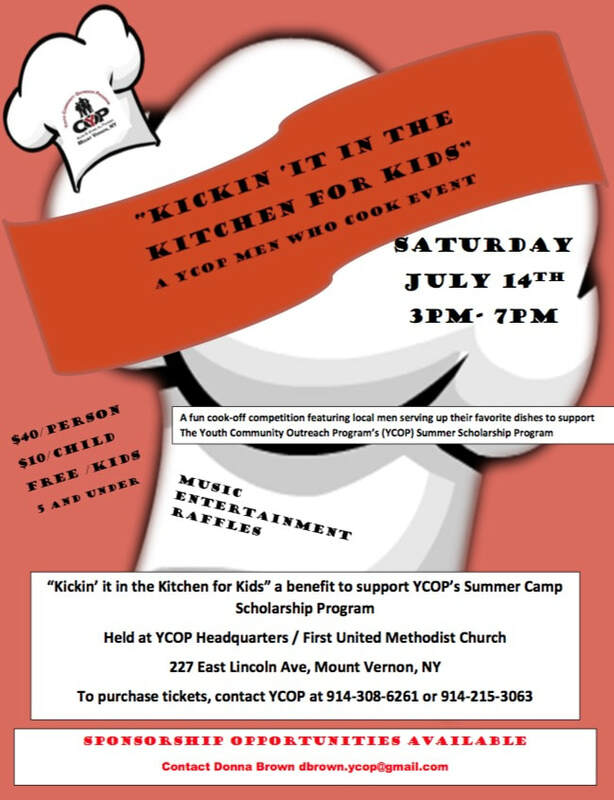 The keynote speaker will be Lieutenant Colonel Channing Greene, Jr. of West Point, and a sergeant from the contemporary 369th Sustainment Brigade will also be part of the event. The program additionally features living history presentations, a talk about the history of Memorial Day and a performance and sing along of songs American soldiers would have sung and heard over the centuries. 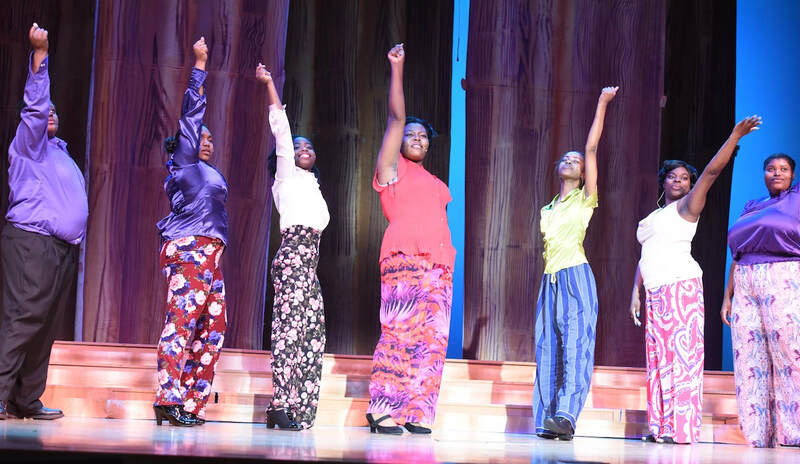 Students in Mount Vernon, Thornton and Mandela High Schools and select students from the Performing and Visual Arts Magnet School captivated audiences with four performances of "The Color Purple" at Mount Vernon High School in early May. The cast delivered a powerful performance that brought the audience to tears and ultimately to their feet. The musical was produced and directed by Evelyn Collins with musical direction by Alvin Waddles, set design by Janet Rush, lighting design by Antoinette Tynes, choreography by Samuel Reid, vocal direction by Terri Cann, and costumes designed by Gladys James. The Metros will be presented on June 11 in the Concert Hall at Purchase PAC on the campus of Purchase College. “Todd Shapiro Associates of Manhattan has officially resigned the account of the City of Mount Vernon, as of Tuesday, May 15. The firm is not on same page with the city and mayor’s office, and will provide no further communications consultation. The City of Mount Vernon is a great place to live and is home to many wonderful people. We believe that our differences with the mayor are too great to bridge. We offer our best wishes to the City of Mount Vernon and respectfully request that all media inquiries regarding the city be directed to the mayor’s office,” said Brian Finnegan, Chief of Staff, Todd Shapiro Associates Public Relations. 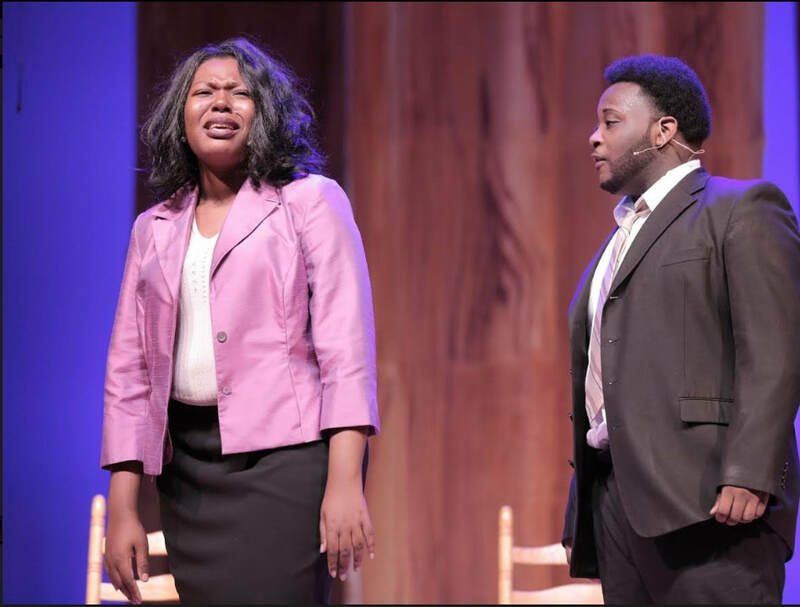 Powerful deliveries of the musical version of “The Color Purple” over the weekend of May 4-6 punctuated the culmination of the Performing and Visual Arts Magnet School’s performance calendar for this school year. Enthusiastic audiences heaped praise and well-deserved standing ovations on the show’s cast and crew, and the show’s Producer and Director, Evelyn Collins, notched another one in the Win column. As wonderfully usual, the Friday premiere of the show was enhanced by complementary staging from the time theatergoers entered the building. "Color Purple" - themed art work, live jazz music, Southern-style fare, iced-tea and lemonade, and mason jars as gifts, set the mood for excited attendees as they mixed and mingled. Rye's African-American Cemetery was established in 1860 when the Halstead family donated it to the Town of Rye to be used as a burial ground for African Americans. Although it was officially made a cemetery in 1860 it had most likely been used as a burial ground for African Americans long before that. There are an estimated 300 people buried at the cemetery, although many of them do not have headstones or formal markers. This cemetery was open up until 1964 when the segregation of cemeteries ended and the cemetery was closed for good. There are 22 veterans of the Civil War, Spanish American War, World War I and World War II. 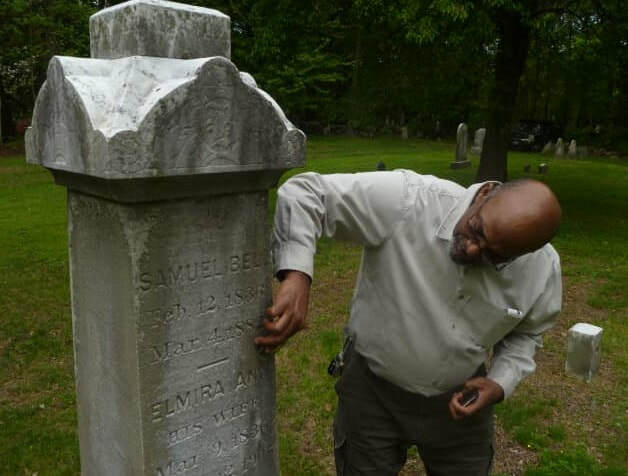 One of the men buried there is named Samuel Bell who was a soldier in the 54th Massachusetts Volunteer Infantry, one of the first black military units of the Union Army during the Civil War — the one chronicled in the 1989 Denzel Washington movie, "Glory." 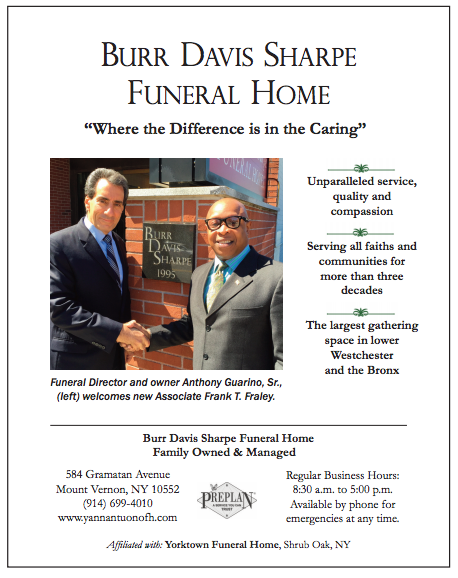 Another interesting person buried there is Robert Purdy, who escaped slavery and fled to Mamaroneck to start the Barry Avenue AME Zion Church, on North Barry Aveue on the border of Mamaroneck and Rye Neck. Other notable figures are a navy sailor who was in Washington on the day of Abraham Lincoln's assassination and a man who ran an inn and restaurant on Milton Road in Rye. Following its closing in 1964, the cemetery fell into a state of disrepair and was largely forgotten. Luckily, various community projects were enacted in order to give new life to the cemetery. In 2003 the cemetery was listed on the National Register of Historic Places. Every year on Veterans Day and Memorial Day there are events at the cemetery to honor those who are buried there. Voters in the Mount Vernon City School District approved a $251,979,860 budget for the 2018-2019 school year by a 1,051-657 vote on Tuesday. The results remain unofficial pending the counting of absentee ballots. The approved budget is a 2.36 percent increase, or $5.8 million above last year’s spending plan and includes a tax increase of less than 1 percent. The 0.89% tax increase is the lowest of all districts in Westchester and Putnam counties and the first tax rate increase since Superintendent Dr. Kenneth R. Hamilton and his administrative team took the helm in July 2014. 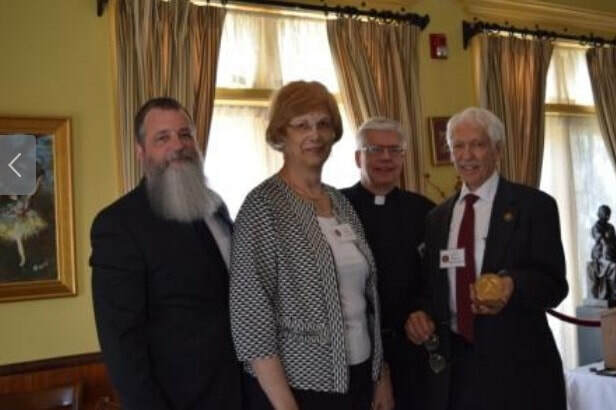 Wartburg held its 26th annual Passavant Society Luncheon on Wednesday, April 18 to honor Wartburg founder Rev. Dr. William Alfred Passavant’s rich legacy by recognizing individuals who have named Wartburg as a beneficiary in their estate plans. This annual luncheon is a celebration of love and gratitude to these generous donors and recognition of today’s benevolent members. 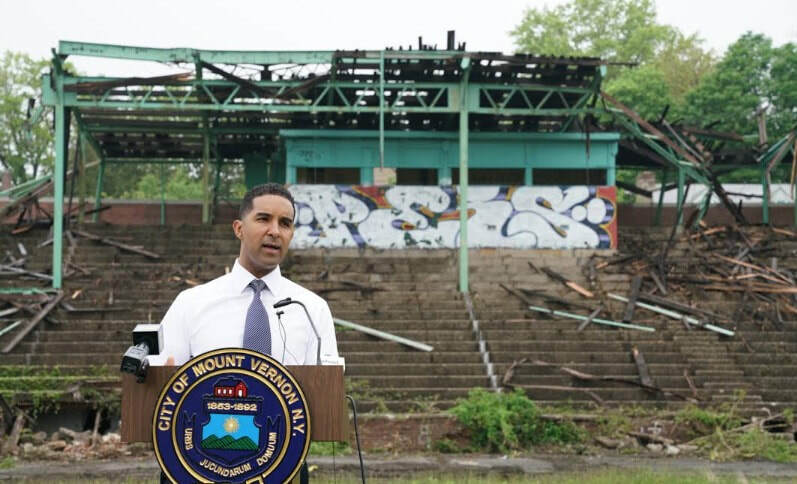 The demolition of the Memorial Field grandstands got underway on Monday, May 14, marking a major step forward in the restoration of the iconic Mount Vernon park. Shortly after 10 a.m., Mayor Richard Thomas teamed up with the crew of Capital Industries Corp. to put a giant, claw-like device in position to start tearing down the steel girders in the middle of the grandstands. Join us at our Open House for Public Speaking and Youth Leadership Program!!! Come and experience Special Guest Speaker Wei Guo who has been a Toastmaster since 2001 and hails from the great state of California. He is an active member of the Tick Talk Club and is on an Ambassador Program to visit 100 Toastmasters Clubs around America and then the world. His goal is to inspire more people to embrace the infinite value of Toastmasters. Please join us and welcome Toastmaster Wei Guo by coming out and showing support for his courageous journey. Youth Leadership Program (Best and Only TMI Youth Leadership Program in Westchester). Learn more about the various programs offered and to discover ways to improve or enhance your communication, leadership and public speaking skills. Bring the FUTURE LEADERS to a meeting to participate, learn and share valuable skills. We are encouraged to help our youth become empowered communicators and leaders. We believe in “never giving up” on each other and our youth. We will provide the Youth Leadership Program participants with school supplies in conjunction with the NETWORK National Organization. Donations will be accepted. The Black Scholars Community Partnership Initiative will host its thirty-second (32nd) annual Black Scholars Reception on Sunday, June 3, 2018 in Purchase, New York. The reception will be held in Manhattanville College’s Reid Castle commencing at 2:00 p.m. for students and parents; the program will begin at 4:00 p.m., during which time more than 300 graduating high school seniors will be recognized for outstanding academic achievement. To be invited to the reception, students must have maintained a B or better average throughout their high school experience. National Endowment for the Arts Chairman Jane Chu has approved more than $80 million in grants as part of the NEA’s second major funding announcement for fiscal year 2018. Included in this announcement is an Art Works grant of $20,000 to the Jacob Burns Film Center for Creative Culture, a fellowship and residency program that provides space, equipment, resources, mentorship, and a supportive community to film and media artists from our region, across the country, and around the world. The Art Works category is the NEA’s largest funding category and supports projects that focus on the creation of art that meets the highest standards of excellence, public engagement with diverse and excellent art, lifelong learning in the arts, and/or the strengthening of communities through the arts. “We are deeply grateful for the NEA’s recognition and support of Creative Culture. And we are proud to have the NEA as a partner in our effort to nurture the next generation of filmmakers. Together, we are building community and changing lives through visual storytelling,” said JBFC Executive Director Edie Demas. When Mayor Richard Thomas was arrested and indicted by New York State Attorney General Eric Schneiderman this past March, it shocked Mount Vernon like never before. Mount Vernon has received its share of negative press throughout the years, but the mayor’s arrest was incomparable – it was historic and mind-boggling. Citizens of the State of New York, the country and the world woke up to a similar situation on Monday, May 7, but to a bigger blockbuster and incredible scenario – the New York State Attorney General Eric Schneiderman announced to the world he was resigning his position due to sexual-assault allegations against him. Being the mayor of a small city like Mount Vernon does not compare to being the New York State Attorney General of New York. Therefore, Schneiderman’s resignation came as a much bigger and explosive shock, not only to New Yorkers, but also to the entire world. When Schneiderman had Thomas arrested, he personally held a press conference denouncing Thomas’ actions and he detailed why he had him arrested. It was a colossal black eye for the City of Mount Vernon. What an unbelievable coincidence that both men currently find themselves in similar situations over alleged criminal activity. Schneiderman was going after Thomas’ jugular – first by removing the case out of the Mount Vernon courthouse and having it heard in White Plains. Secondly, additional charges are expected to be lodged against Thomas in White Plains – according to several sources in the know. His case has been adjourned to June 1st. According to the Attorney General’s office, Schneiderman’s resignation will not have a bearing on Thomas’ case and they are pursuing it as aggressively as possible. According to the serious sexually related allegations against Schneiderman, it appears that he will wind up being indicted like Thomas as well. “I have great confidence in our legal system, and I have no doubt we will be able to prove our full compliance with the letter, ethics and spirit of the law,” said Thomas in a news conference arranged to proclaim his innocence. 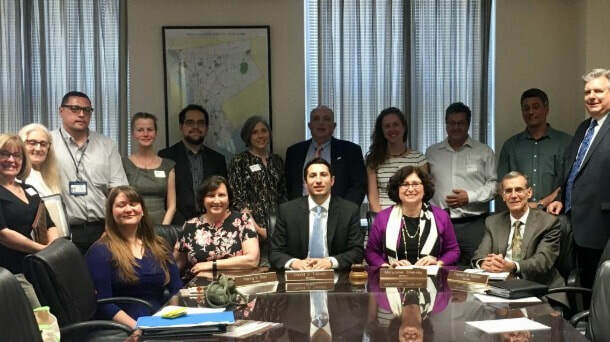 After a two year hiatus, the Westchester County Board of Legislators met recently and relaunched advisory boards dedicated to addressing flooding and other issues along the Saw Mill and Bronx Rivers. The Saw Mill River Advisory Board (SWAB) and Bronx River Advisory Board (BRAB) bring together elected officials, administrators and professionals from state, county and local governments and agencies, residents and members of community and environmental groups, to share information and support efforts to address needs relating to the rivers. Terry Clements (D-New Rochelle, Pelham, Pelham Manor) was sworn in as the new Westchester County Legislator for the 11th District on Monday night. administered the oath of office, at a ceremony preceding the Board’s regularly scheduled meeting. Clements becomes the 13th Democrat in the 17 member chamber. She’s also the ninth woman, giving women a majority on the Board for the first time in its history. Westchester is the only current county legislature in New York with a female majority. In addition, she’s the board’s fifth African-American legislator, the greatest number of African-American legislators in Westchester County's history. “We had an army out there,” she said of the work put into her campaign by labor, Hispanic Democrats of Westchester, Black Democrats of Westchester, the Westchester Black Women’s Political Caucus, the Democratic committees of Pelham and New Rochelle, Indivisible New Rochelle and Young Democrats of Westchester. She also thanked new State Senator Shelly Mayer for her support and vowed to focus on issues like safe schools and the environment. Clements defeated Republican Jim Freeman in a special election on April 24 to fill a seat vacated when former Legislator Jim Maisano, left to become director of the county's Department of Consumer Protection. “Teacher Appreciation Week is a time to recognize the hard work and commitment of America’s educators. The success of our country depends on our teachers and schools to educate and inspire our youth. As a former teacher, I know what a demanding and rewarding job it can be. “This year, Teacher Appreciation Week comes amid a nation-wide movement of teachers fighting back against decades of draconian cuts to public education. To best prepare American children for the 21st century we need to provide them with the best possible resources. This means competitively paid teachers and support staff, safe and healthy learning conditions, and first-rate learning resources. “Sadly, there are those in government who have made political hay out of vilifying teachers, especially the ones teaching in our public schools. Forces on the right have attacked teachers’ unions for years, while simultaneously working to undermine our public school system by cutting critical education funding. It’s shameful, but all too common behavior from a GOP more concerned with scoring political points than helping our children succeed. Westchester Women’s Hall of Fame during the YWCA’s 10th Annual “In the Company of Women” luncheon. The presentation will be in front of over 500 local community and business leaders. Others being recognized are Umran Beba of PepsiCo, Sandra Richards of Morgan Stanley and Mecca Santana from Westchester Medical Center. The Honorable Rosado will also share her experiences in a keynote address. 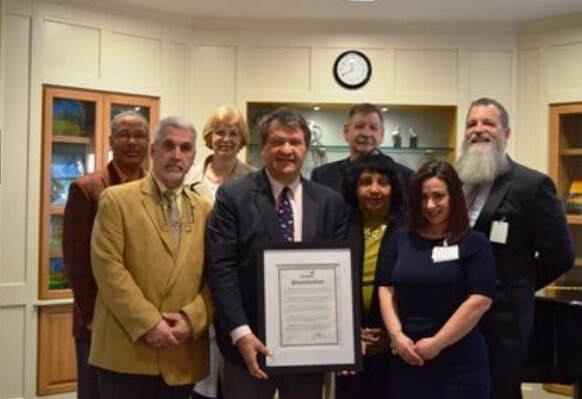 In proclaiming May as Jewish History and Heritage Month in Westchester County, the Board of Legislators will celebrate the outstanding contributions of three distinguished citizens and one organization before its May Board meeting. The annual celebration will take place Monday, May 7, at 6:30 p.m.
We invite all to celebrate the outstanding contributions of this organization and these individuals at our May 7, 2018 meeting, when the Board will present special proclamations in their honor, and we will have the opportunity to hear them address the Board and guests. 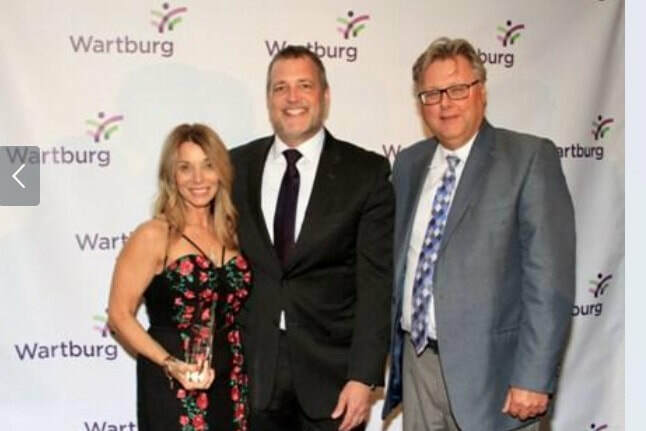 Wartburg, a leading provider of senior healthcare and residential services in Westchester County, honored 70 employees for nearly 900 years of service and dedication at the annual Employee Service Awards Ceremony held on March 28 on their beautiful 34-acre campus. Each year, recognition awards are presented to Wartburg employees for service in five year increments. One employee received recognition for 35 years of dedicated care to our residents in our skilled nursing facility and two for 25 years of service. Ten employees received a gift for 20 years of employment at Wartburg, 19 employees for 15 years and 18 caregivers for 10 years. Wartburg was also honored to recognize 29 employees for five years of care. Mount Vernon City officials returned to the courts to resolve another dispute, this time over a commissioner's pay and benefits. In a May 15 lawsuit filed with the state Supreme Court, the City of Mount Vernon and planning Commissioner Chantelle L. Okarter alleged that city Comptroller Deborah Reynolds has refused to pay Okarter's health benefits and salary since April 3. Mayor Richard Thomas' administration unsuccessfully asked the court to enforce a 2017 court order prohibiting the comptroller or City Council from interfering with the mayor's ability to pay his staff. Thomas and Okarter also wanted the court to order Reynolds to pay Okarter's health benefits and any back wages. Mr. Newman’s May 1, 2018 Letter to the Editor, in his capacity as CSEA Unit President for the Mt. Vernon Public Library, misportrays the bargaining history and related events between the Library and the Union. First, Mr. Newman’s letter fails to identify the crux of the issue, that is the Union’s insistence on maintaining a “Wage Parity clause” in the Library’s labor contract that requires MVPL to pay its staff whatever increase the City of Mt. Vernon gives its union employees despite the fact the Library does not fall under the City’s budget approval process (this ended in 2014) or is in any way financially connected to City Hall. Even more problematic, this clause prevents the Library from ever negotiating wage increases…arguably the most important clause in a labor contract. The annual celebration will take place Monday, May 7, 2018 at 6:30 p.m.
Westchester Community College President Belinda S. Miles, Ed.D, has been named to the nation’s leading association for the advocacy of community colleges. Her participation on the American Association of Community Colleges (AACC) board provides an opportunity for her to join colleagues from across the country in addressing policy, legislative, and programmatic issues relating to community colleges.